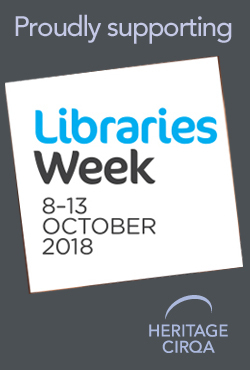 To celebrate Libraries Week 2018 we asked our users to tell us why they are proud of their libraries. We had such lovely responses we thought we would publish them all here. "I'm proud of my library because our visitors are at the heart of its design. 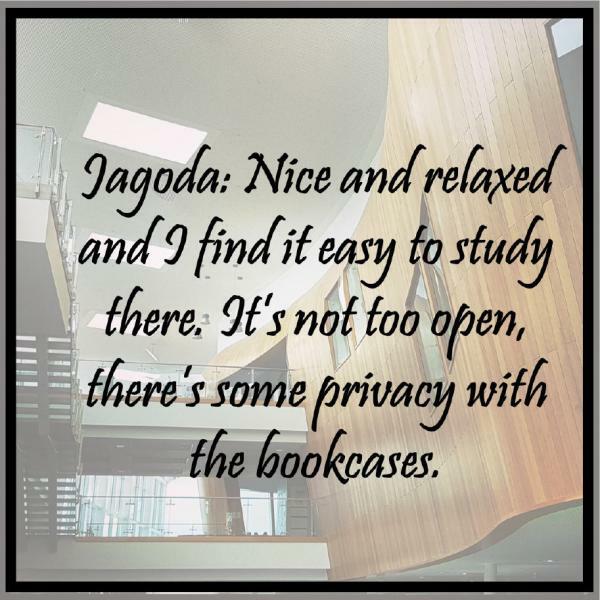 For our students and staff alike, the library is a part of their home, and this is always taken into careful consideration. 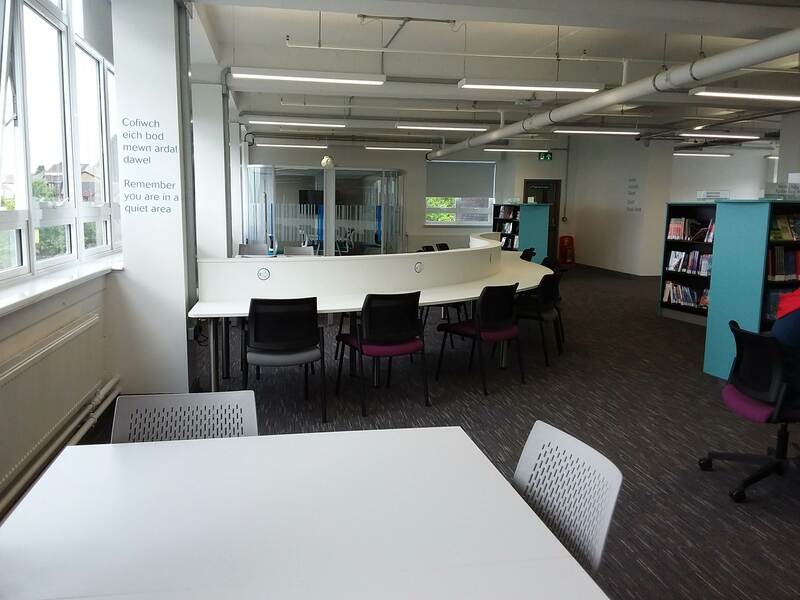 Cosy nooks, comfortable chairs and bright open spaces make the library a friendly place in which reading and learning can be a pleasure. I particularly love the stretch of glass windows in our social learning space. 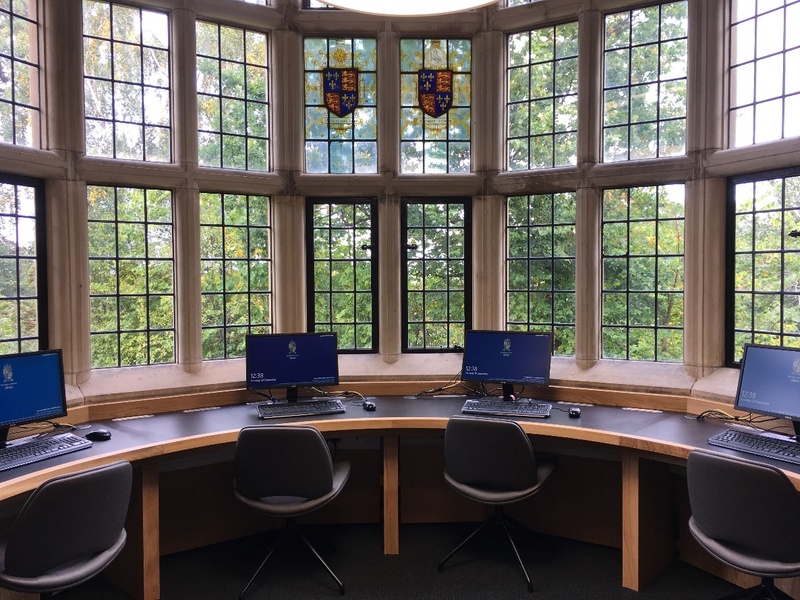 Spanning the length of the room, the windows allow for a breath-taking view of the town, and nature is welcomed into the library. When the sun shines the room is flooded with light, when it rains the library feels extra cosy. Learning is set to a backdrop of the gently changing seasons, allowing study to feel like a practice deeply connected to the outer world rather than apart from it." 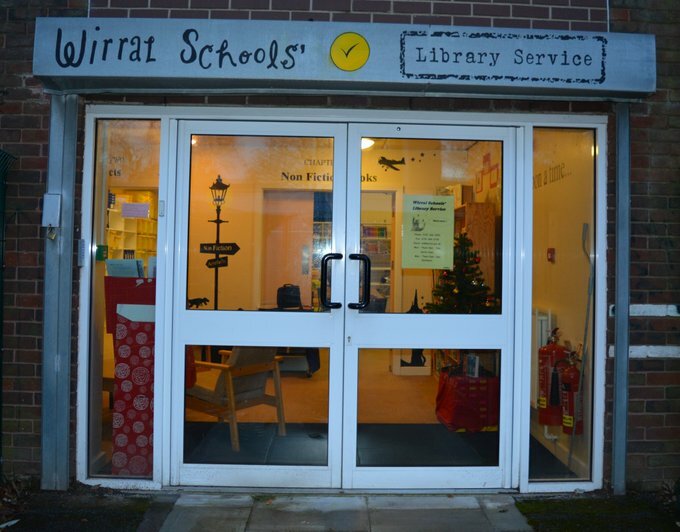 "This is the entrance to Wirral Schools’ Library Service. 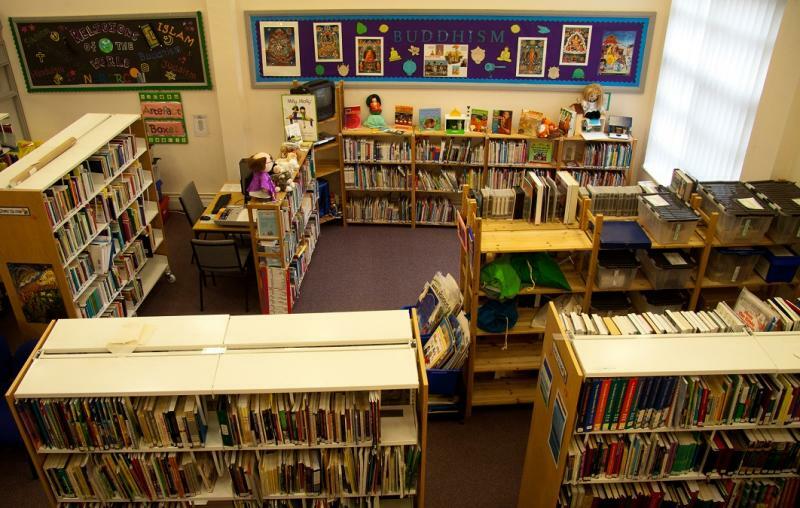 We are proud that our library service opens the door to tens of thousands of books, artefacts and other resources for the children and teachers of Wirral. We are proud that Wirral SLS is a doorway to help and advice from our staff who know and love books. We are proud that our library service opens the way for children to discover a love of reading for life. 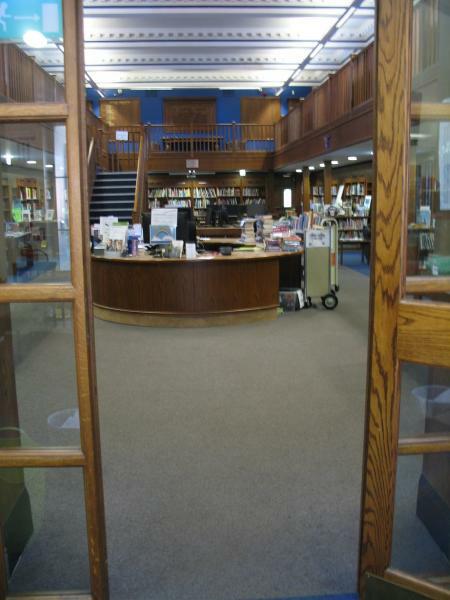 A door that opens into any library is a wonderful thing!" "We love to tell people about our service here at East Coast College! 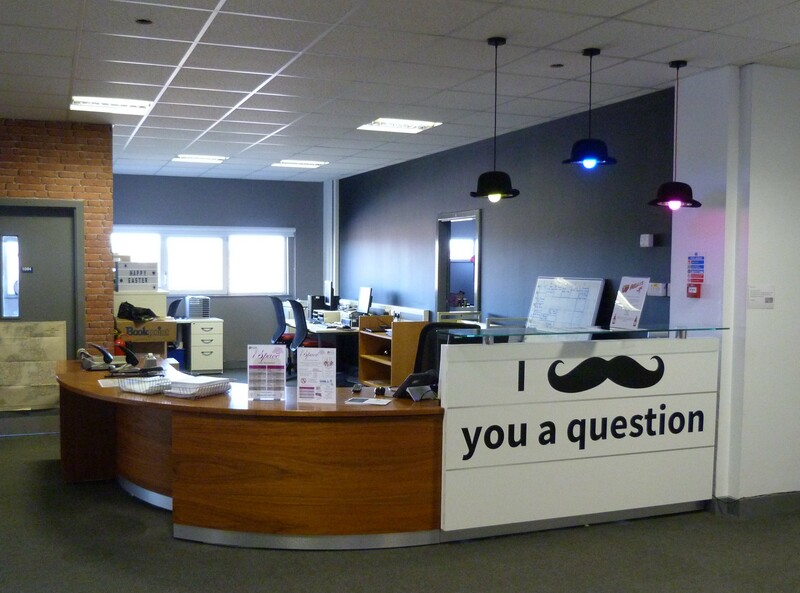 Here is a photo of just one section of our Great Yarmouth Campus library. 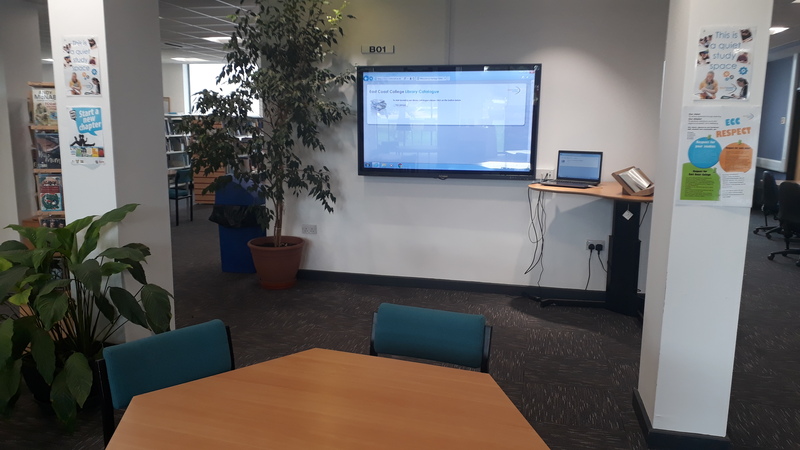 Pictured is our large touch screen where we can meet with students in small groups to demonstrate how to use our electronic resources, including our online library catalogue. It's great to be able to show students clearly where to find all the relevant buttons, what the details of an individual title record mean (cue explanations of Dewey!) and then let the students 'play' with the screen to practice finding and accessing e-books through the site. 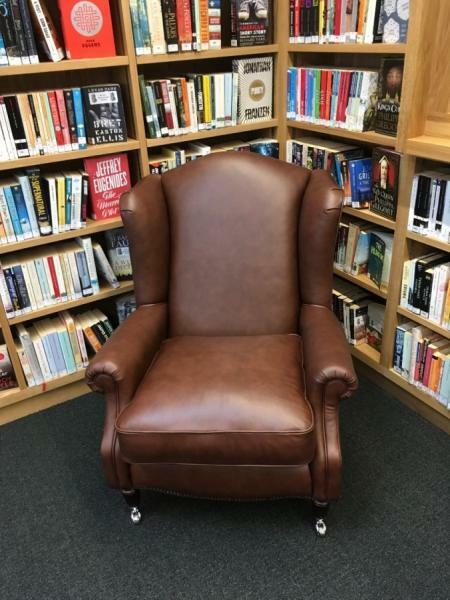 It makes our library inductions much more interesting and entertaining for the students." 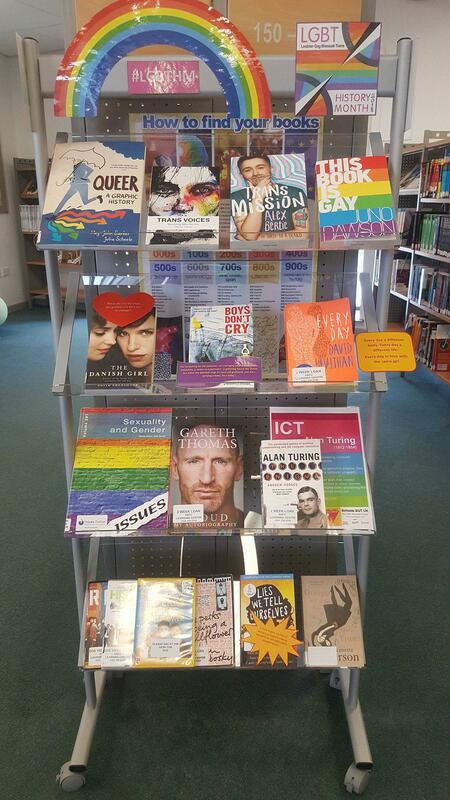 "I'm proud of my library because it is such an accessible, inclusive collection. It has both cutting-edge research material and historical masterpieces, books ancient and new, and – it welcomes both members and visitors. 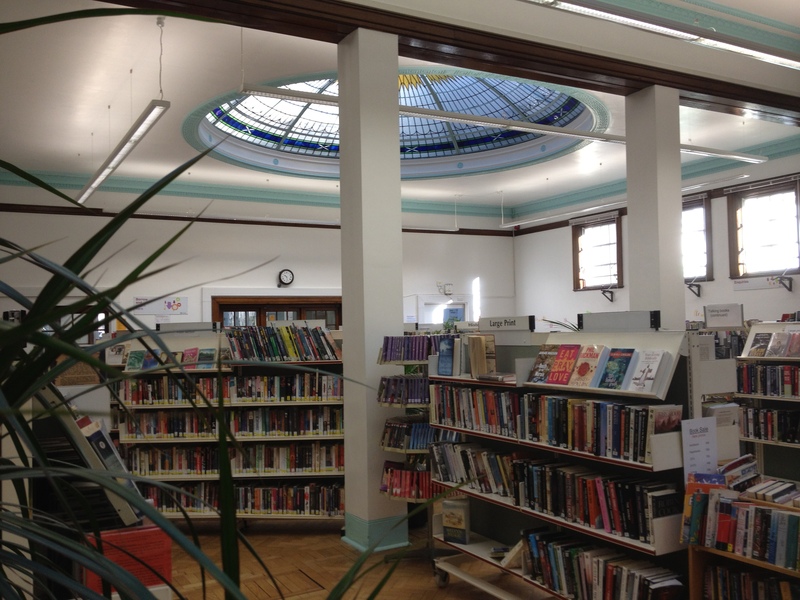 #justaskalibrarian"
"Here are some pictures of our newly-refurbished library of which we are very proud! We’ve been very popular this term!" 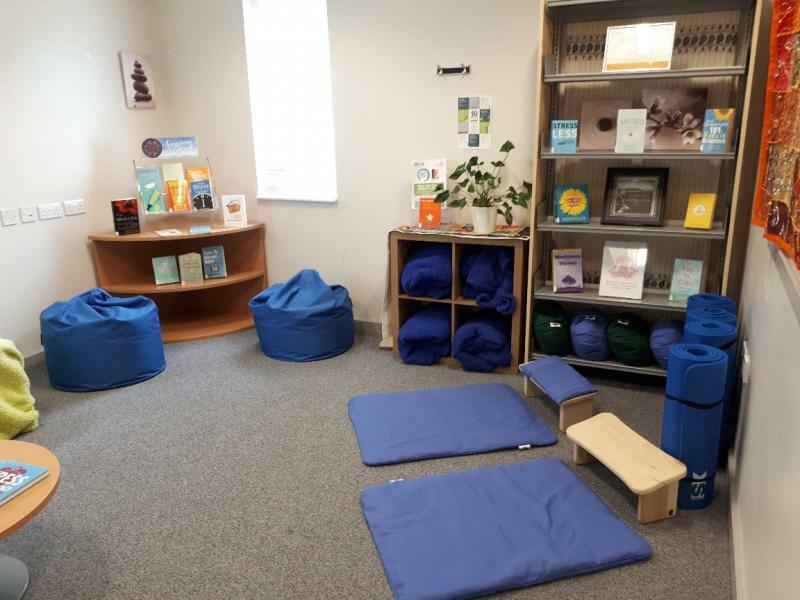 "I am proud of my library because we are a small (but we like to think perfectly formed) library within a prestigious Higher Education establishment that provides education and training for nannies and early years practitioners. The majority of our stock is there for childcare, learning and development focused along with sector specific law and safeguarding. 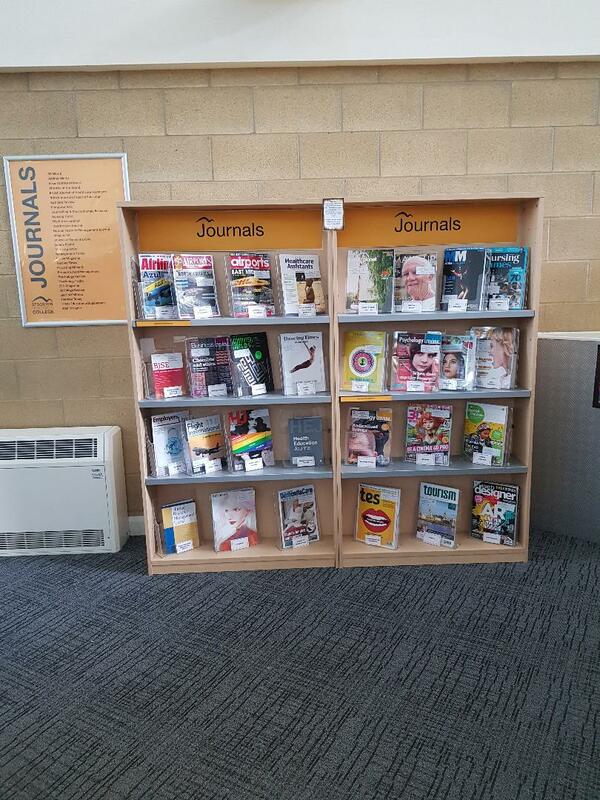 We also have study skills guides for the students along with periodicals and journals appropriate to their study. 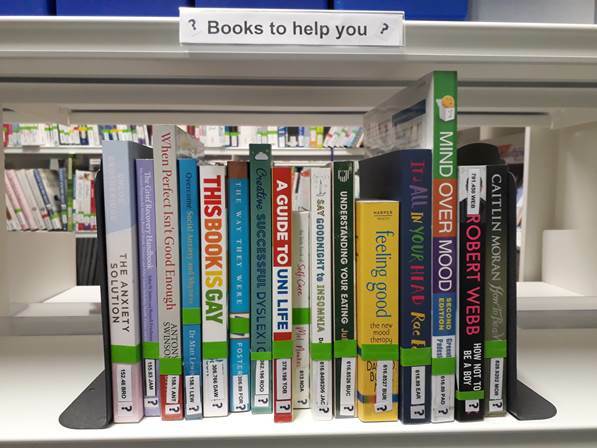 Branching out from this, we have just launched our ‘Books To Help You’ area for students to be able to focus on themselves and their own needs. 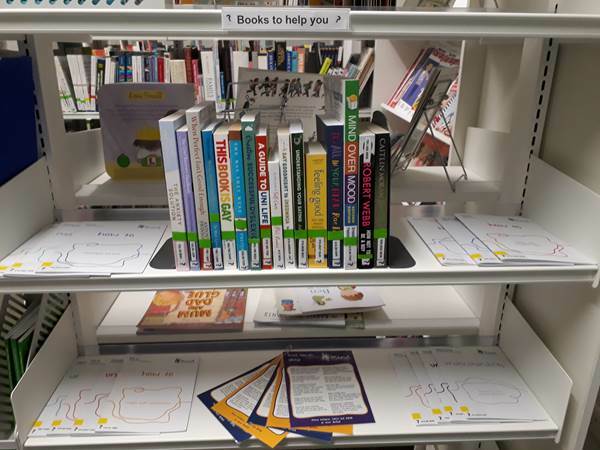 It includes ‘self-help’ titles on a wide variety of topics and mental health pamphlets with subjects ranging from sexuality, anxiety and insomnia, to dyslexia and divorce. 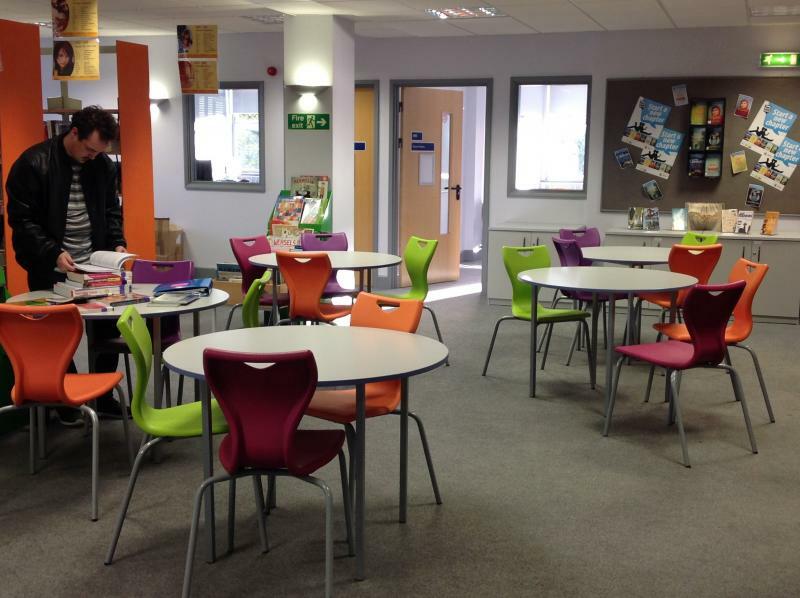 This area is designed to communicate that literature can support as well inform, nurture as well as educate. 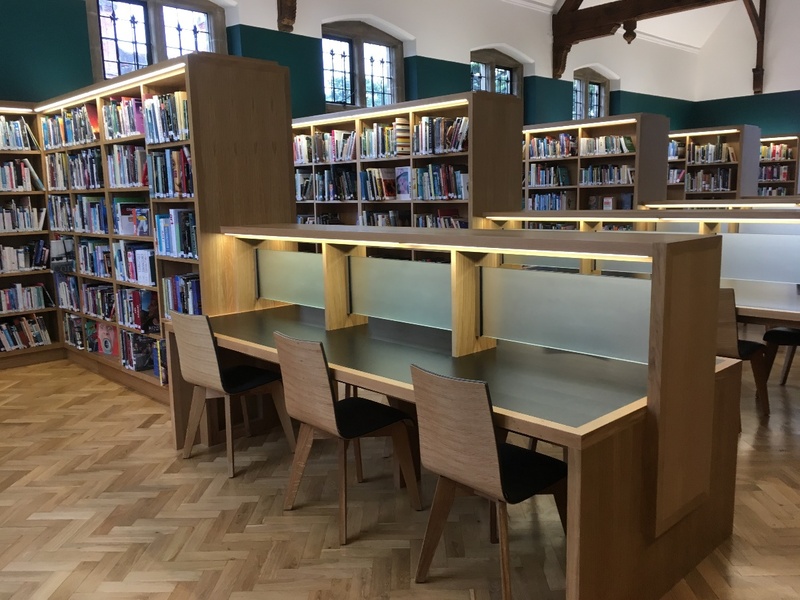 We hope the students find this resource a useful tool during their time at the college and we hope to expand this section if it proves popular and beneficial"
"I am proud of our library because of the past 2 years we have had the most traumatic time in our history. 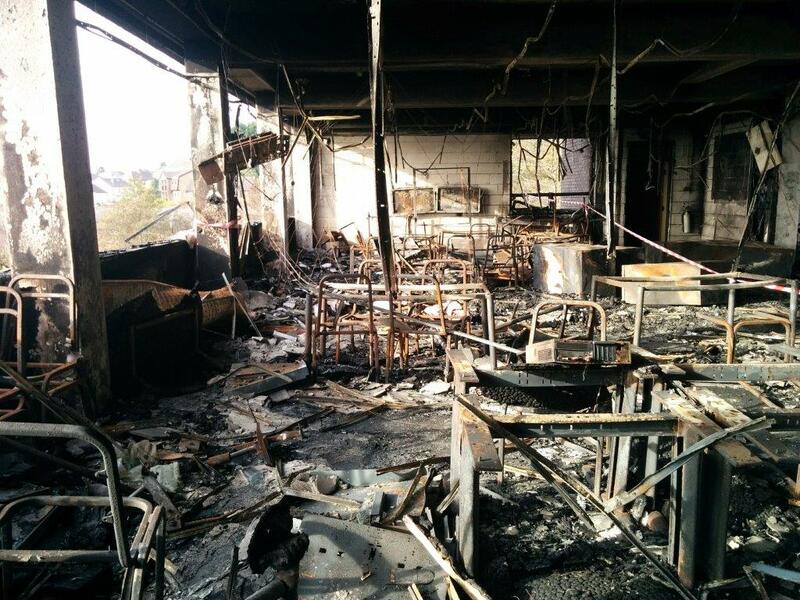 On the 28th October 2016 our Tycoch library was completely destroyed by an early morning fire. In the following months we had 5 temporary homes with an increase in book stock in each of them before returning to our original location. During this time a high level of service was still provided to all of our staff and students." 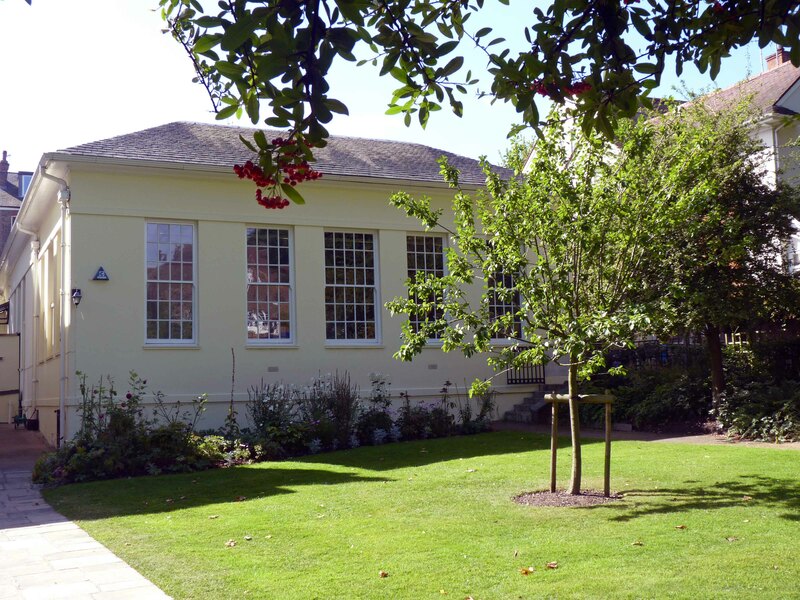 "The Sussex Archaeological Society is one of the oldest Archaeological and Historical Societies in the country. 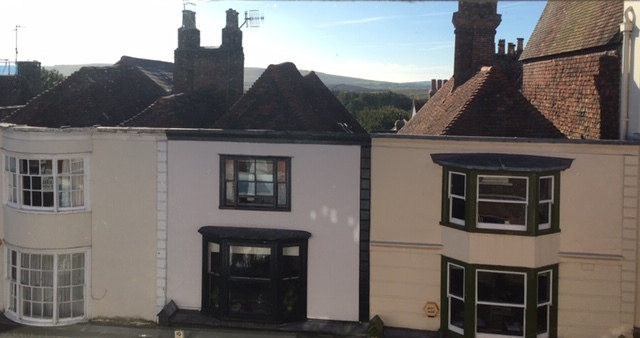 Based in Barbican House, Lewes we hold a range of items relating to the archaeology and history of Sussex including researchers’ working papers, maps, archaeological reports as well as books. Also in our online catalogue are listings for items held at some of the Society’s other properties, notably Fishbourne Roman Palace and Michelham Priory. 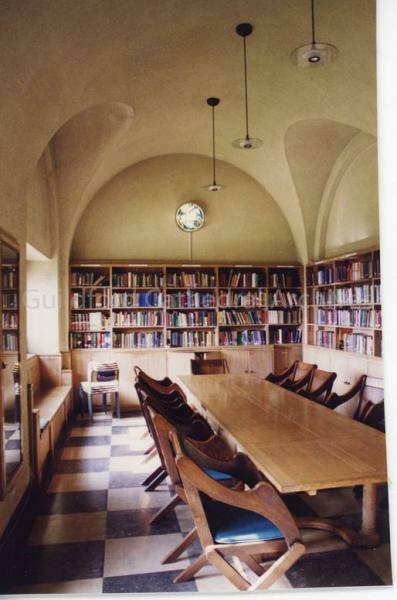 The library which is on the top floor of Barbican House, a timber framed house with a Georgian exterior opposite the 11th Century Castle, is staffed entirely by volunteers including several retired librarians and subject specialists. 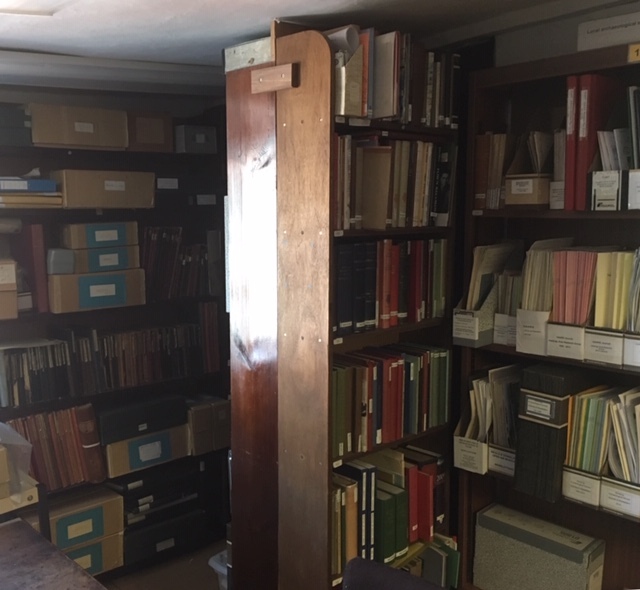 We are a reference library so our stock does not circulate but, in addition to researchers visiting in person, we also deal with email and telephone requests. (Society members are welcome to visit at any time but we also welcome non-members generally on an appointment basis.) We are also slowly digitising items from our collection as well as placing contents lists for sets of our working papers online." 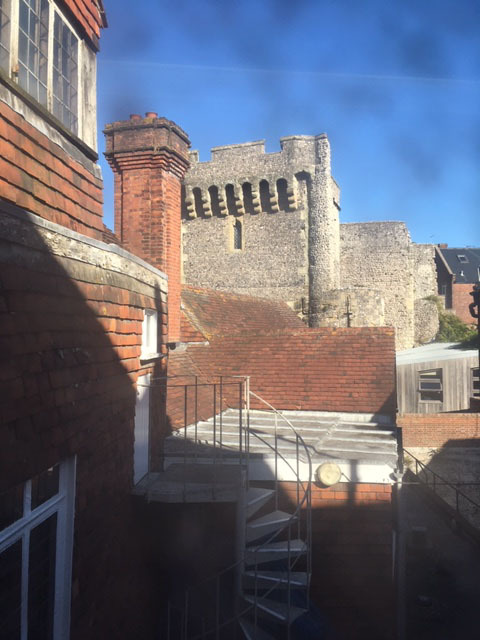 View of the Barbican - Lewes Castle is immediately outside this building which also houses the museum and the shop where visitors can obtain tickets to visit the castle and another of the Society’s properties, Anne of Cleves House, in the town. Working papers room – various sets of researchers’ working papers are stored in here. We are gradually listing their contents, placing the lists online and cataloguing them into our library catalogue as a means of enabling searchers to identify which may contain anything related to their search. "Here is my library, slowly progress is being made to turn it from somewhere for students to use to eat lunch, ‘doss’, and steal books, which it was when I started, into something that resembles a place that encourages a responsible attitude (mostly) to reading, research, self-directed learning, and offers a welcome for all. As someone who entered the door as a complete novice and imposter - no training, no ‘librarian’ qualifications and no handover, the support I have received from everyone at IS Oxford has been invaluable. This is our ‘self-checkout’ station. A bit of a fudge, but with no budget it was the cheapest option that IT and I could come up with. It’s been a long road - but I think I’m over the biggest hill!." "Please meet Kieran, Robert and Amy. 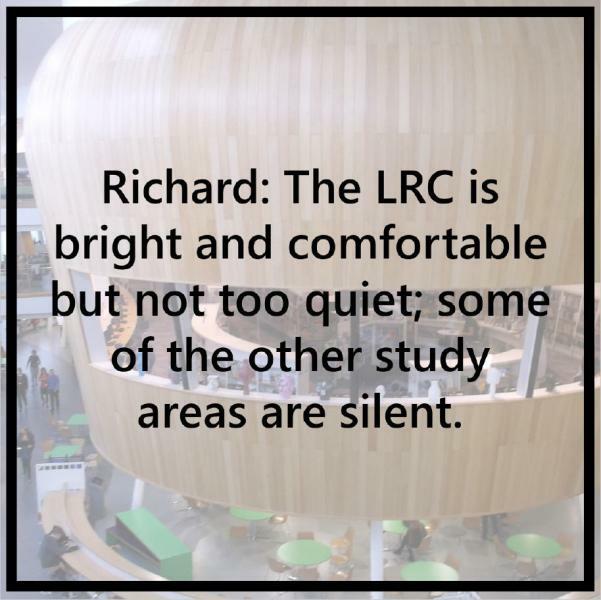 They are Entry Level students here at Coleg Sir Gar and they have told us why they are proud of their library. Cheery wave from west Wales!" "I'm proud of library because it's where dewey meets digital! 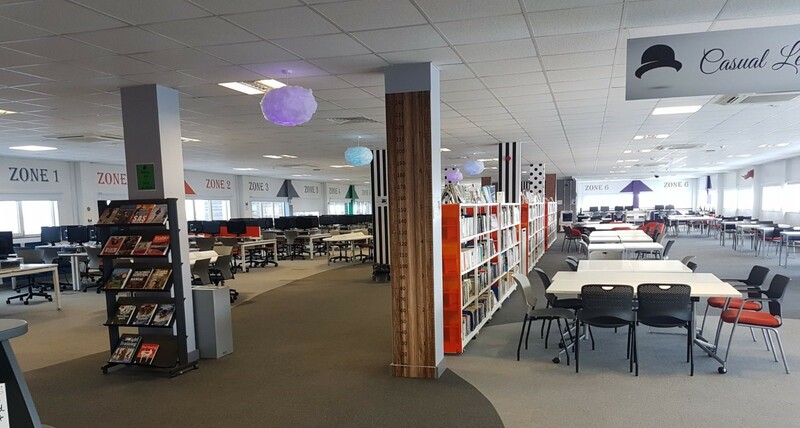 3 years ago, under the leadership of it's new Manager, Simon, the FE Library underwent a massive transformation, one that questioned the traditional perception of how a library 'should' look. 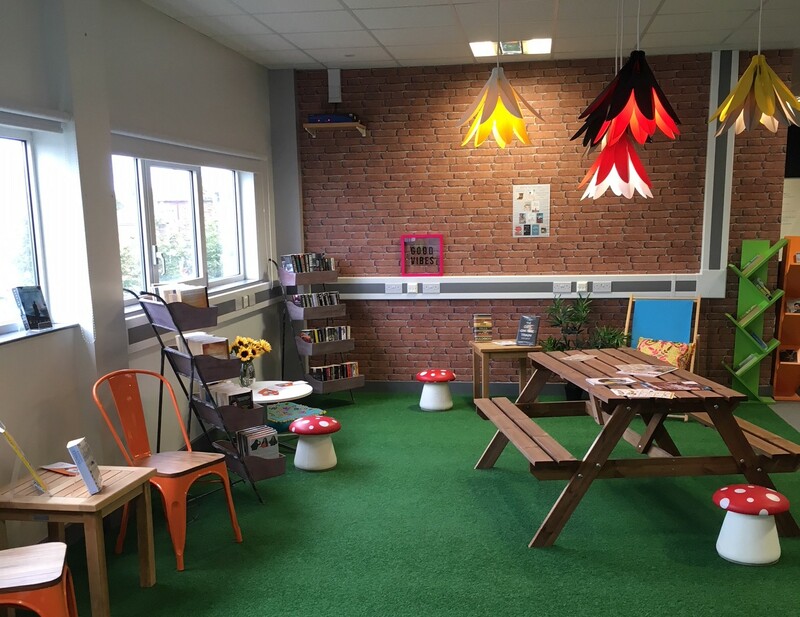 The result is a space that is open, bright, vibrant, colourful and welcoming; a place that our students are happy to spend time in. These fresh surroundings have revitalised the staff's approach to supporting our learners, resulting in them being able to navigate our services with confidence, accessing all of our resources, whether physical or digital, and maximising their learning experience"
"Tyndale House is an internationally-renowned academic study centre focusing on advancing understanding of the Bible. 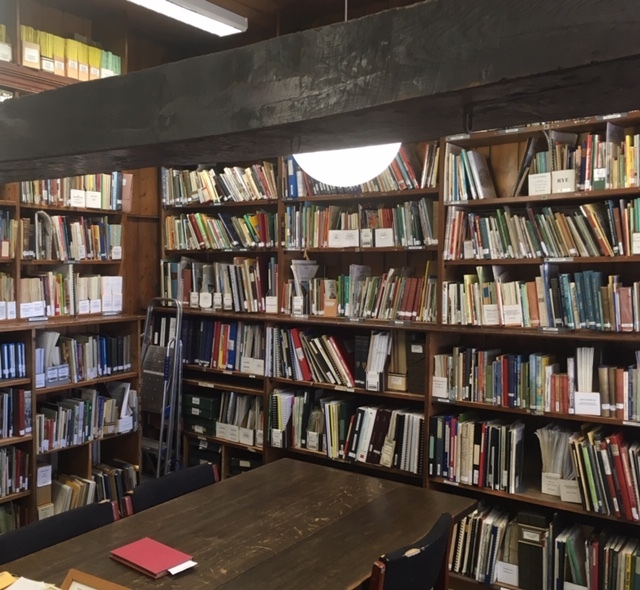 Researchers visit our Library from all over the world to access our outstanding collection of post-graduate level books and journals which are uniquely focused on the biblical text, interpretation, languages and historical background. We are excited about our plans to expand the Library building so that we can meet the needs of future generations of bible scholars." "I’m proud of my Library because, despite its former small size and that I’m a lone worker, I was able to transform it into an active part of the college community for much more than books. The prime example being the annual success of our Student Library Volunteers which has enabled us to establish genuine connections, make a real impact and provide a unique support and experience for students who are curious or interested in how a library works. I get all my volunteers to sign up to VInspired, a charity that rewards young people for volunteering with certificates that are recognised by employers and universities. As an extra reward for their dedicated work and to help them stand out when applying for jobs or through UCAS. 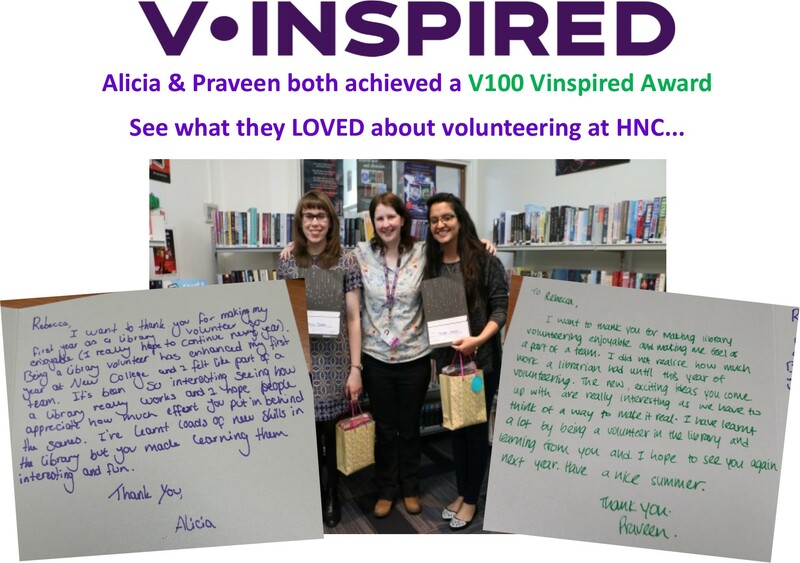 In 2016, 2 of our volunteer students, Alicia and Praveen, became the first to achieve the V100 VInspired Award for 100 hours of volunteering based purely on their library work. We have had over the years several achieve a V50 award and most achieve a V30 or V10 but to have 2 obtain V100 in one year was truly something special. 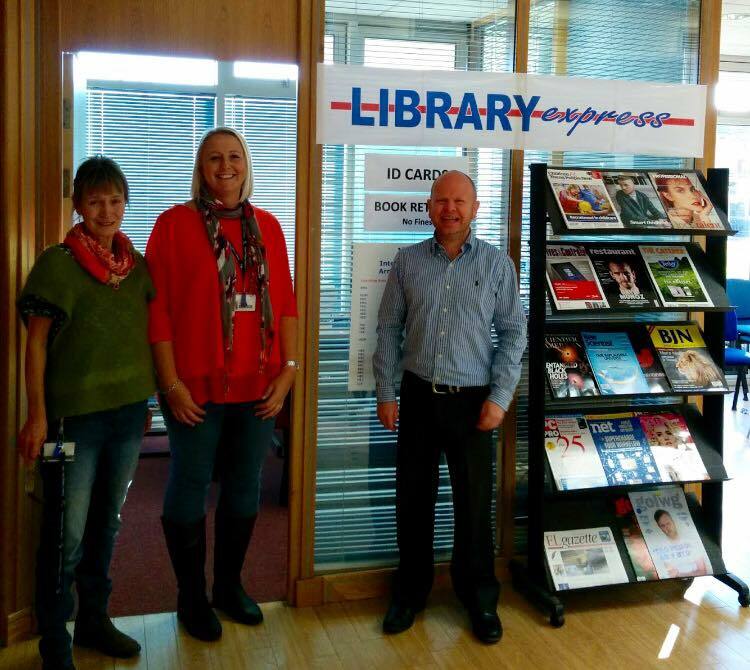 It was proof that for these two they enjoyed and benefited from library volunteering to dedicate so many hours of their own time to us and they did help make a real difference both in the day-to-day running but also with events, displays and more." 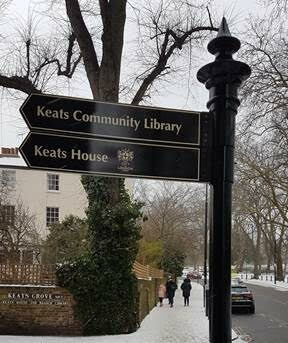 "Keats Community Library is so loved by its community that nearly 7 years ago, we banded together to take it over from the local Council. Since then we have flourished. A stock of 25,000 books of which 50% have been replaced. Trained 4 apprentices at our expense. 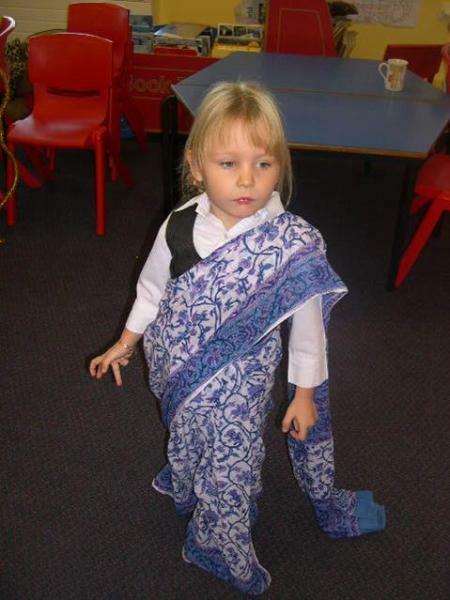 Provided library facilities to several local primary schools. 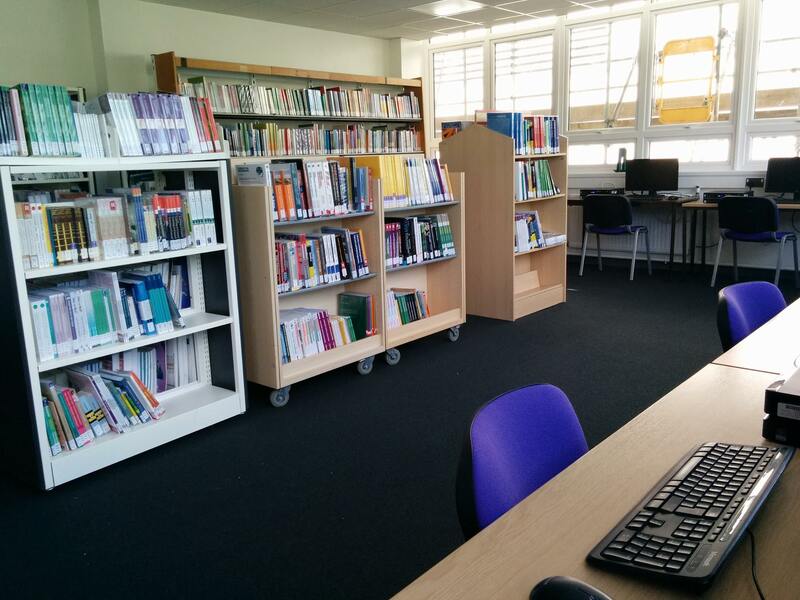 Kept solvent without any council support.."
"We’re proud of our LRC at Icknield School in Luton which opened in 2015. We are open from 8am – 5pm each school day, and host many Accelerated Reader classes, as well as issuing about 100 books each day. 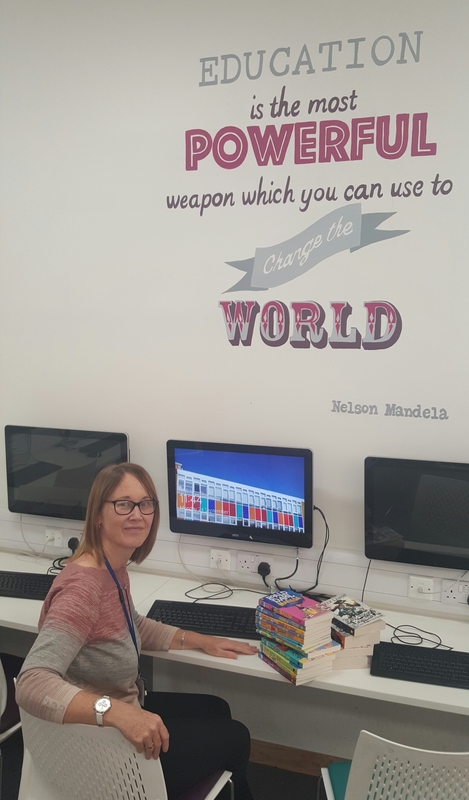 The photo shows Librarian Mrs Claire McCabe adding some new books to stock on the Heritage System." 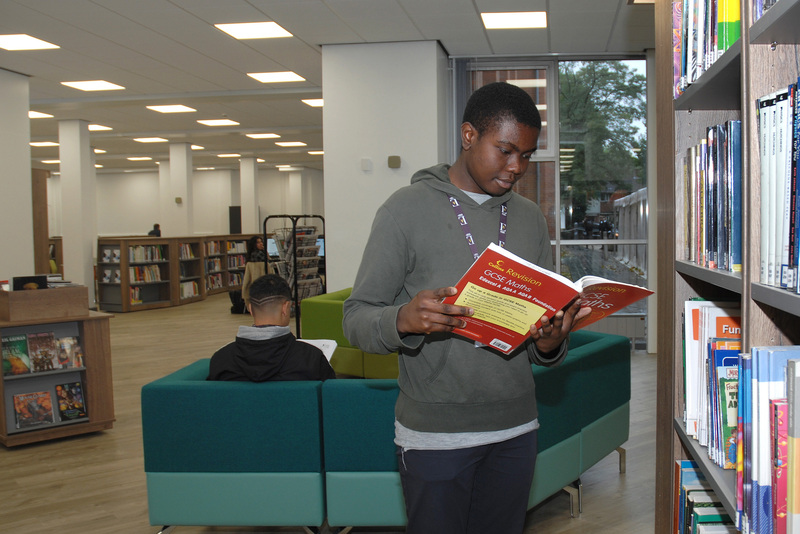 "I'm proud of my library because our staff work hard to give our staff and learners at College a good experience. 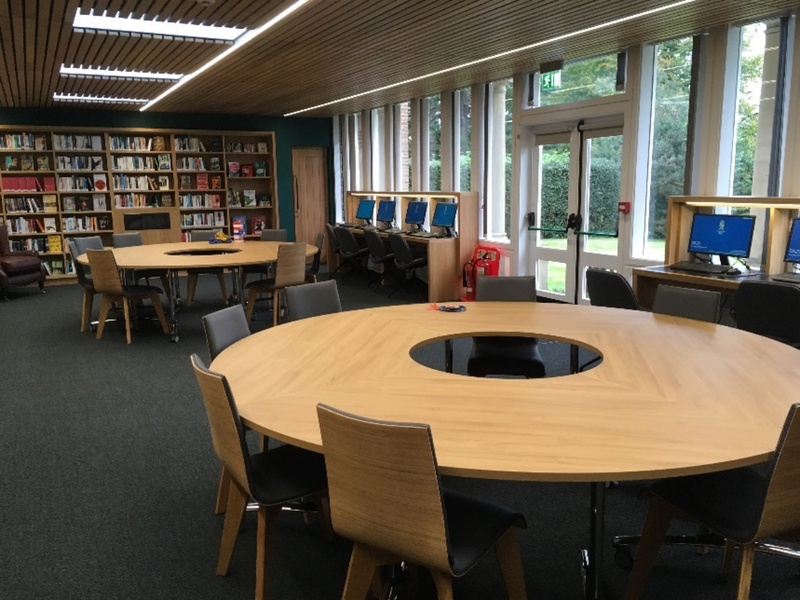 We have recently revamped the Learning Centre Library at Duchy College – Stoke Climsland in Cornwall with some bright furniture and some better lighting. 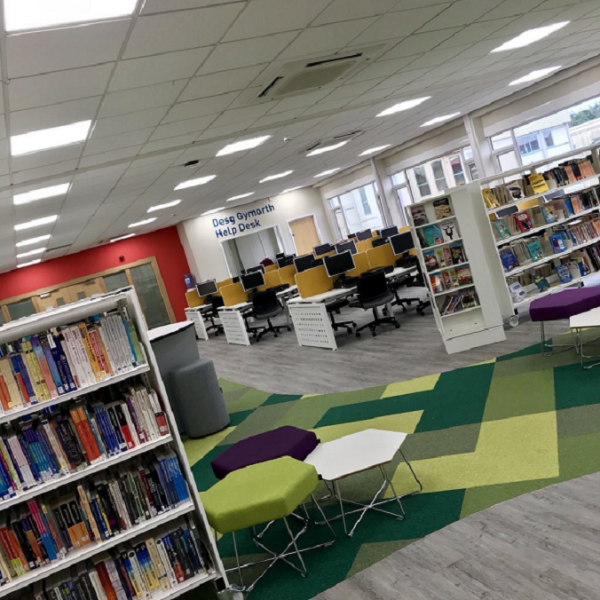 The Learning Centre Library at Duchy College Stoke Climsland is a special library and place to be as we are a land-based College in Cornwall and support our students and staff with their information and study support need. 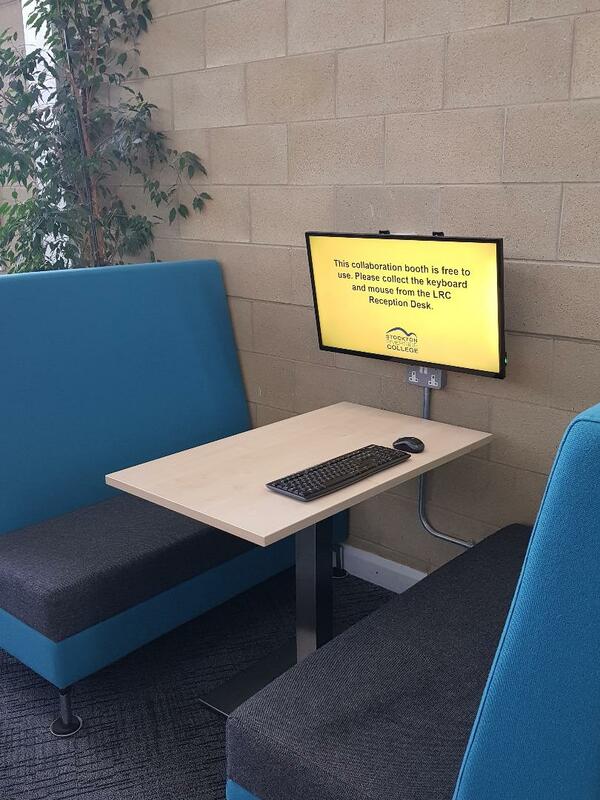 The bright furniture and shelving displays make it a great place to help students prepare for their futures in jobs, apprenticeships and further study. 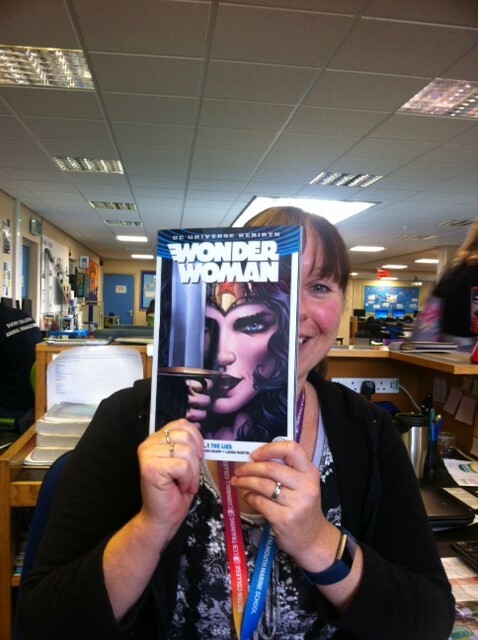 I have included some photos of our staff having some fun before Libraries Week with our own Book Face Competition." 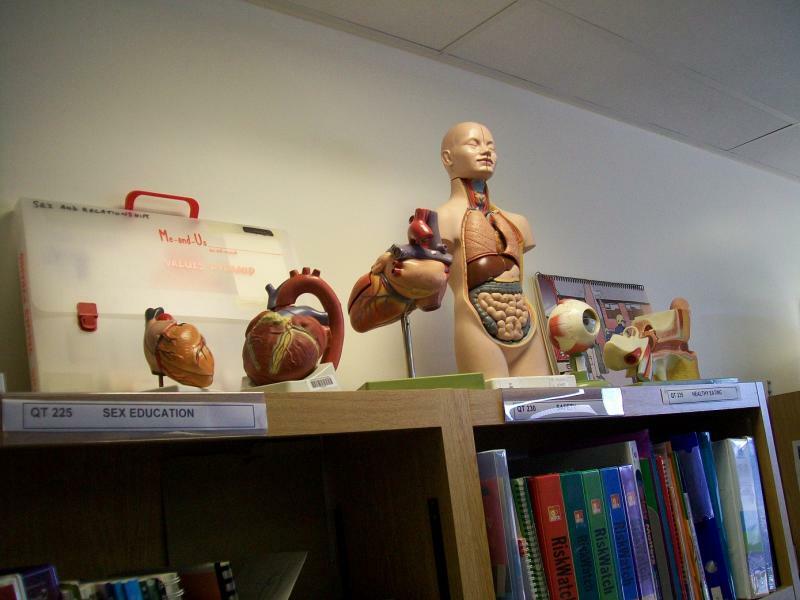 "I work in a health library at Lancashire Teaching Hospitals NHS Foundation Trust. 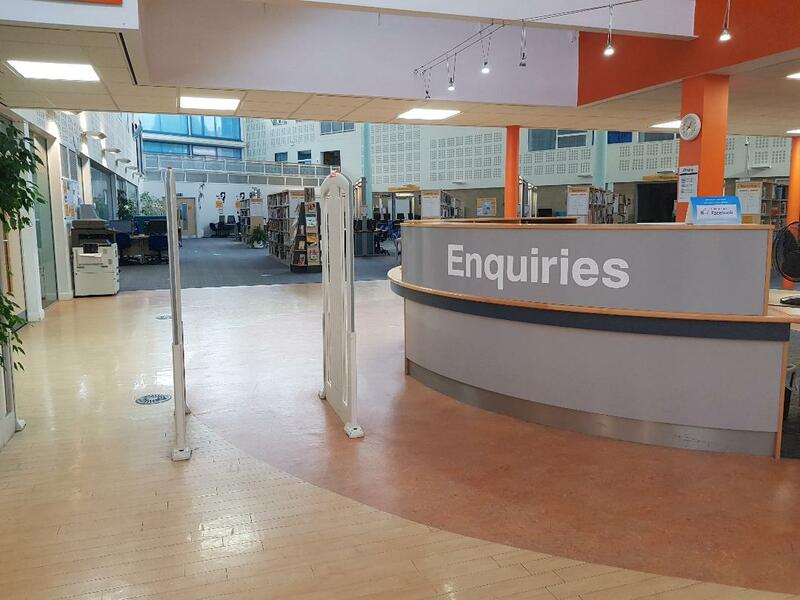 There are two hospital sites, Chorley and Preston, and there is a library based at each. 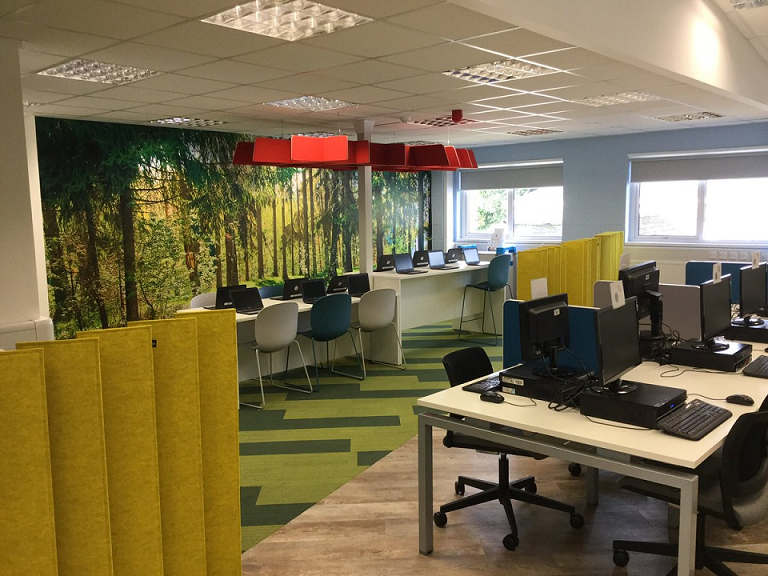 We offer a wide variety of resources, training and services for our users and offer quiet, study and stress-free library spaces. 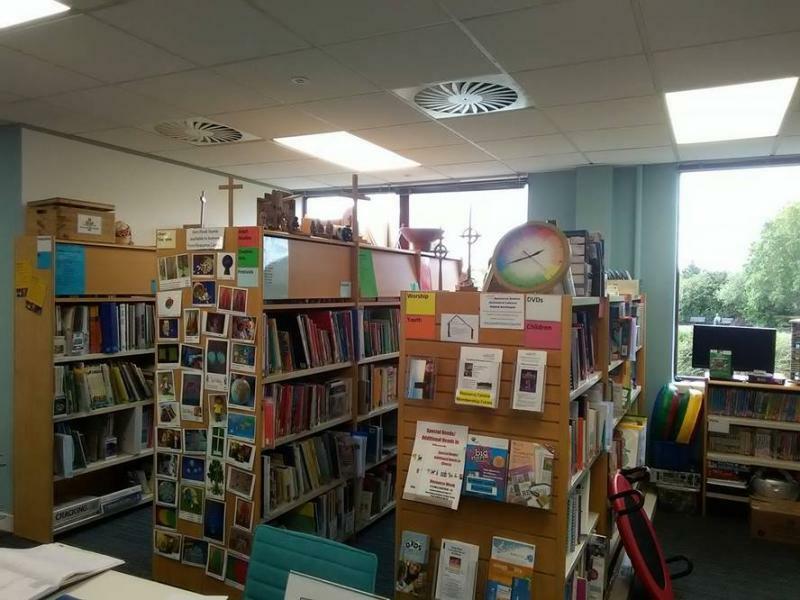 Our library is a special place as we get such a variety of users from medical students, nurses, doctors and hospital volunteers; many of whom work in high pressured situations. 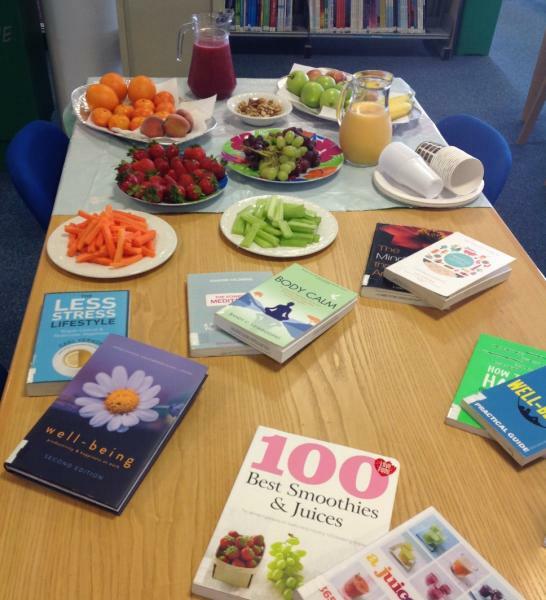 We are proud of our library service for always putting the wellbeing of our users first. 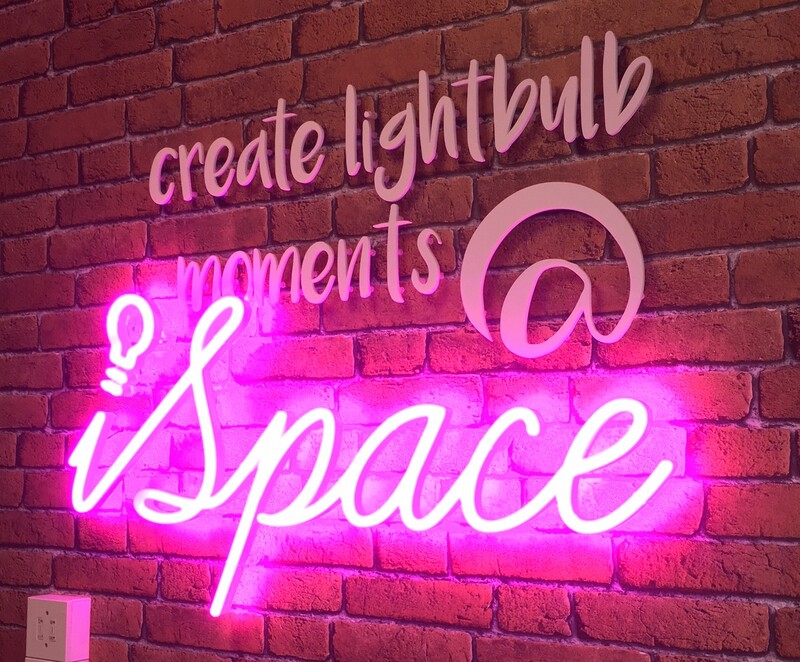 We celebrate our users by hosting healthy open days for them to drop in and discover what we do. We run lots of activities, competitions and events for our users to take part in. 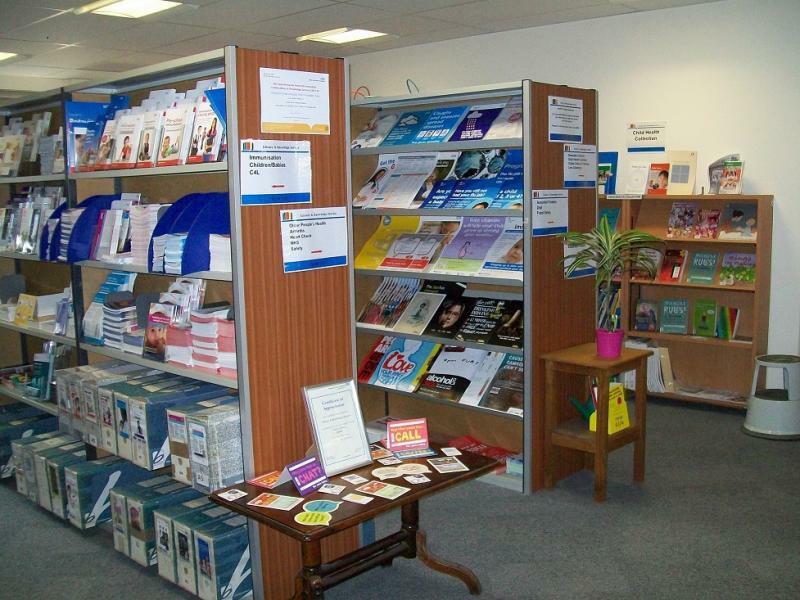 We have a health and wellbeing room located in our library at Chorley, open 24/7 for users. We run a pop-up library service for users who are unable to get away from the wards to the library by taking a box of books over to them. 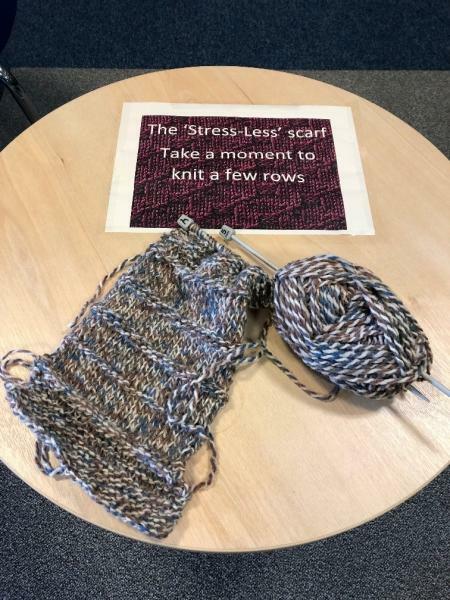 We hold monthly ‘wellbeing Wednesdays’ for our users in order to encourage them to take some time for themselves over lunchtime. 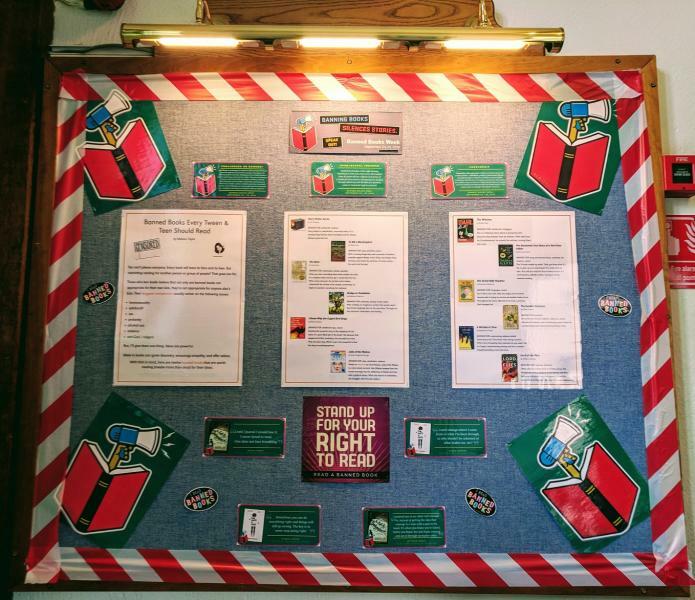 Also, we run a yearly campaign for reading over summer to encourage users to read our fiction and wellbeing collection. " 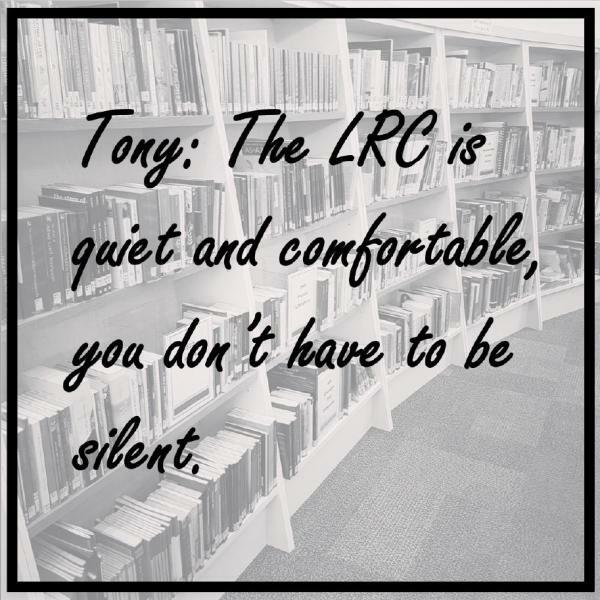 "I’m proud of my library because we constantly strive to provide the highest quality service for students and staff who access our resources. We have been voted outstanding as a department for three years running as we always go the extra mile to help and support people. 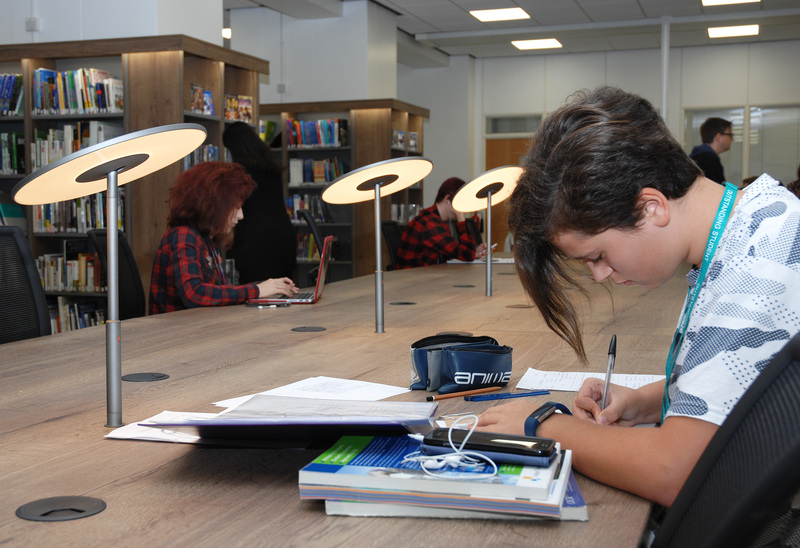 Our library supports students to be the best they can be by providing dedicated areas for different learners to study in depending on their individual needs. 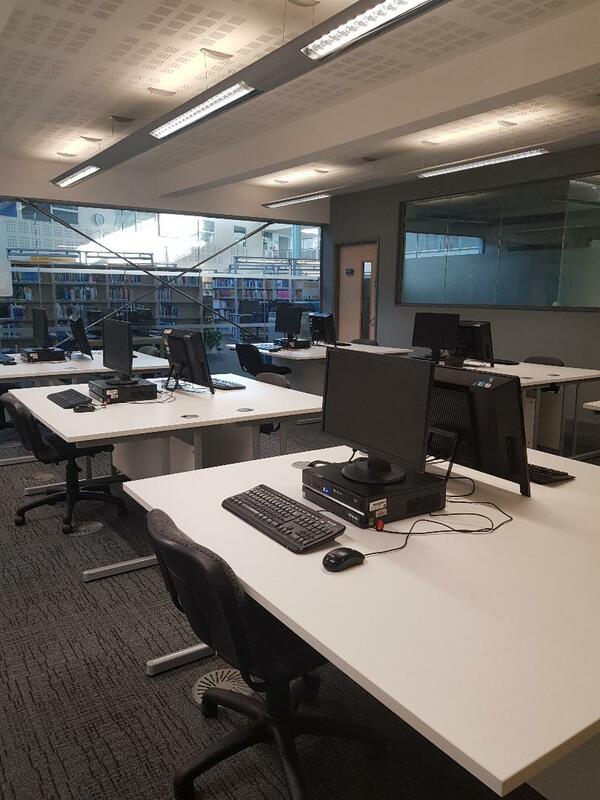 These include a higher education room, silent study rooms, a wireless learning zone and collaboration booths for group work. 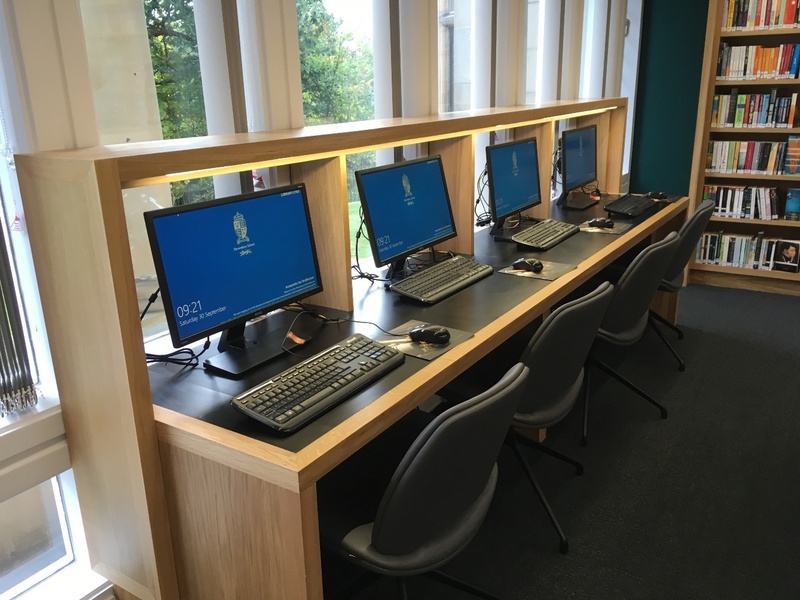 We loan laptops, iPads and other specialist equipment for students to use so they always have the resources they need to study effectively. As a team we provide training on how to use Athens to access online journals and e-books, support with using the College’s Virtual Learning Environment and even offer IT support. 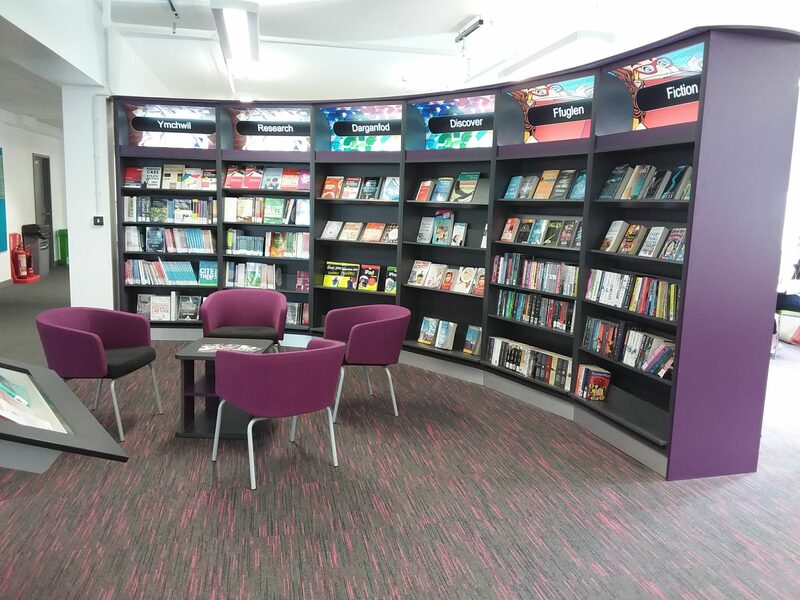 We have an excellent provision for Teesside University students who are based at our campus and have copies of all the text resources from their reading lists. We offer guidance to these students regarding academic writing, critical thinking and Harvard Referencing. 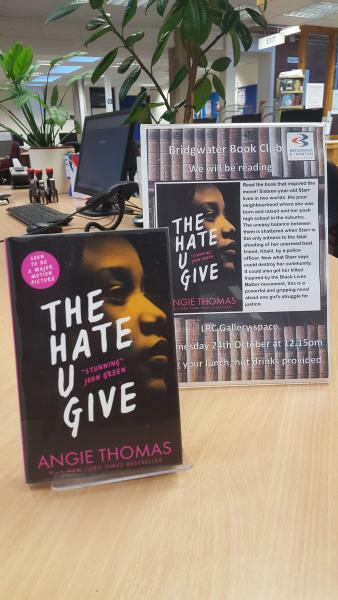 Social Media plays a big part in what we do in the library, we advertise new books to students through their course Facebook groups, advertise events and promote Equality and Diversity. 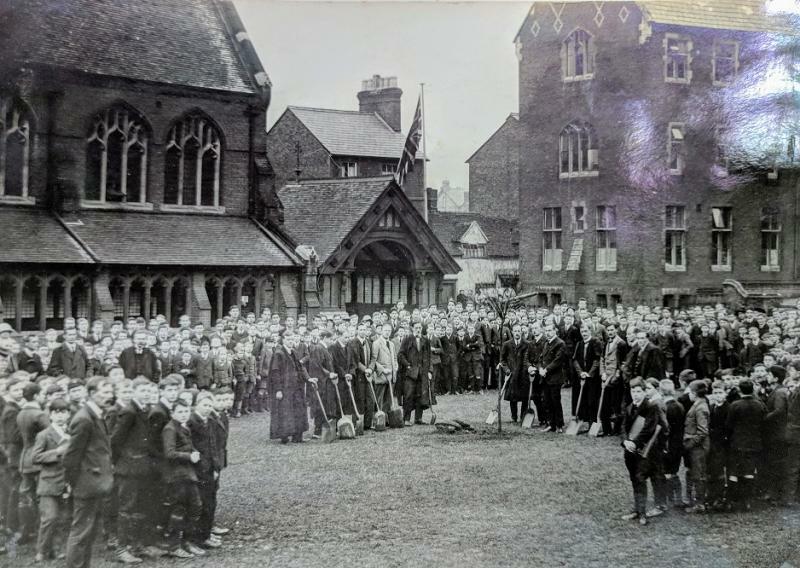 To make finding useful resources as easy as possible for students we have set-up reading lists on Heritage using the group code feature and we have even gone as far as separating this into modules. We quickly respond to requests from students and staff when they require new purchases and equipment and do our best to provide these. 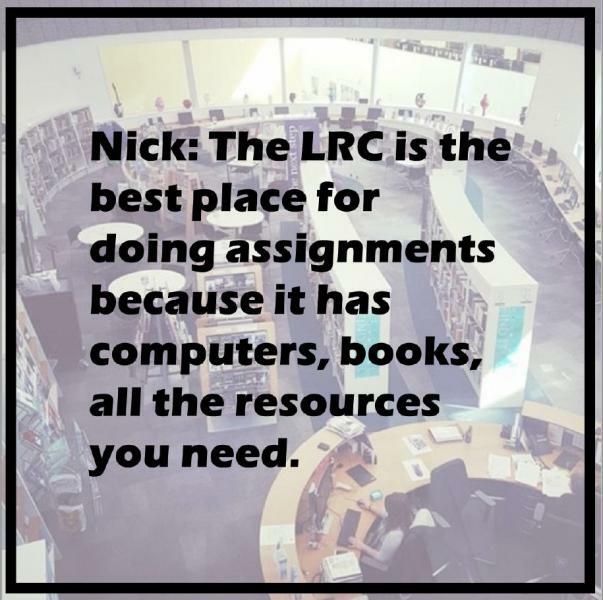 We aim to make the library a useful place with staff who are always willing to go above and beyond to help and if we cannot help then we will always point students in the right direction." ‘The things I want to know are in books. My best friend is the man who will get me a book I have not read’ – Abraham Lincoln. 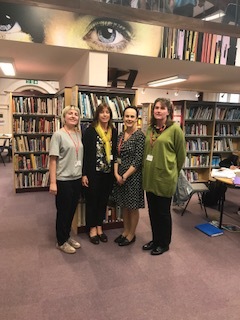 "The Library runs a series of activities for students with learning difficulties and disabilities, the flagship initiative within this project is the Reading Ahead Challenge. 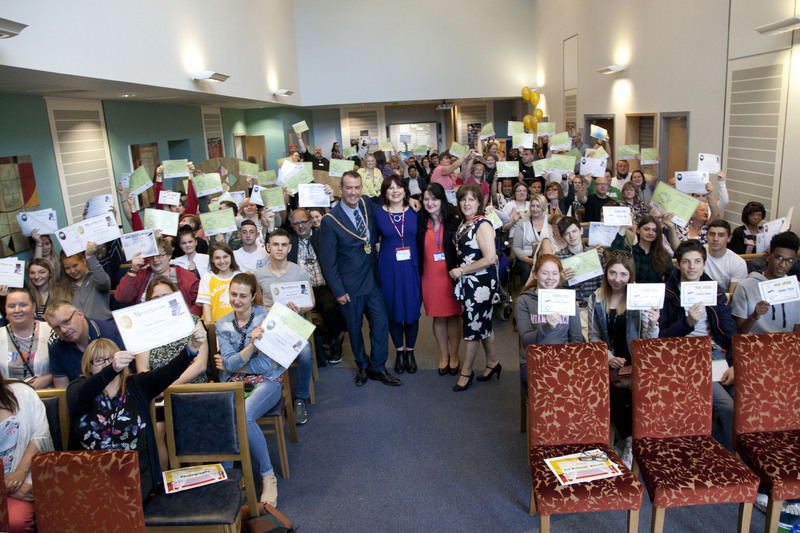 We are the only FE College who have won a Gold Award for 7 years running and have had over 1500 students complete the Challenge over 11 years. Our work with these students was acknowledged nationally as we were shortlisted at the TES Awards 2017/18. 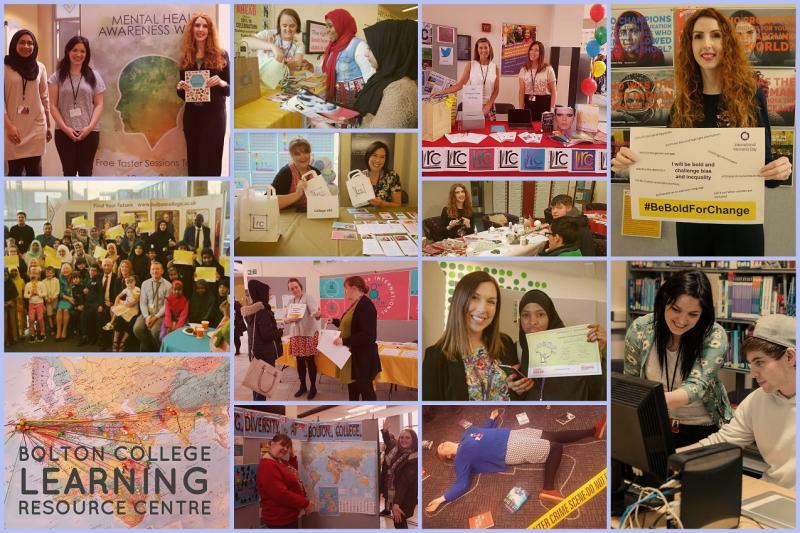 This year we won first place for our Maths Magician scheme for CoLRiC’s Best Practice Award and In 2017 we were given second place for our Word Detective scheme, both original and innovative 20 week numeracy and literacy schemes developed by Library Assistants in support of the Government’s agenda to improve Literacy and Numeracy in the UK. 639 students participated in these this year. 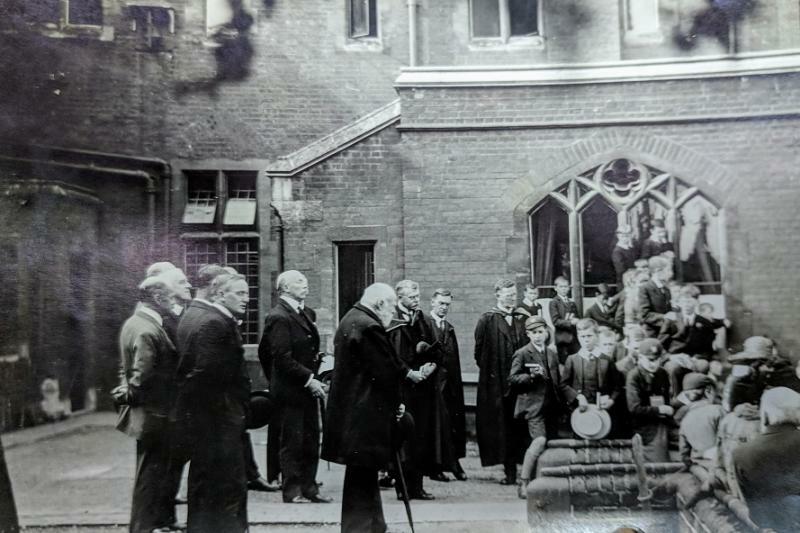 We celebrate our students’ achievements by holding 3 Library Awards Ceremonies in May each year and these were attended by over 200 students, staff and parents. Special guests attending included local Mayors and authors Sue Bentley and Mark Robson and the College Principal and Vice-Principal. Certificates were presented to students winning our Poetry, Short Story, Art and photography competitions alongside the Reading Ahead, Word Detective, Maths Magician and the brand new DigiCAP (learning to use IT) schemes. Certificates were also presented to Work Experience students (we accommodate 430 hours) and those who had completed their Information and Study Skills sessions. " 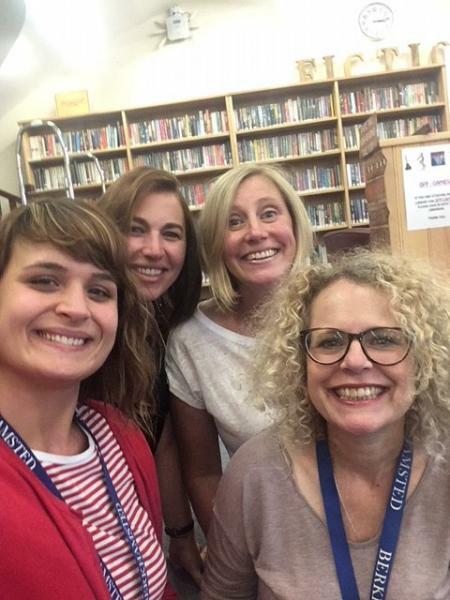 "We’re extremely proud of our Berkhamsted School libraries because we believe we are the heart of our school community. 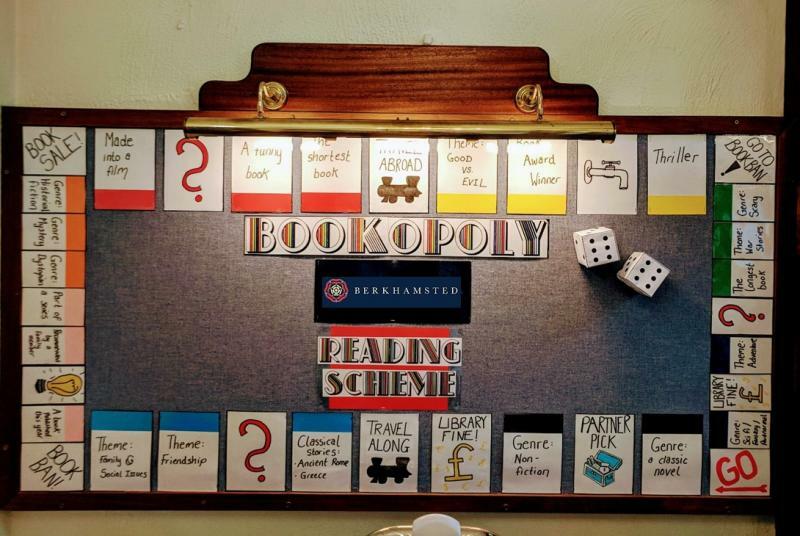 Discover our brand new Year 7 Reading Scheme ‘Bookopoly’ – roll the dice and take a chance to win instant prizes as you complete books from different genres around the board! If you are struggling to find something to read – do not fear! 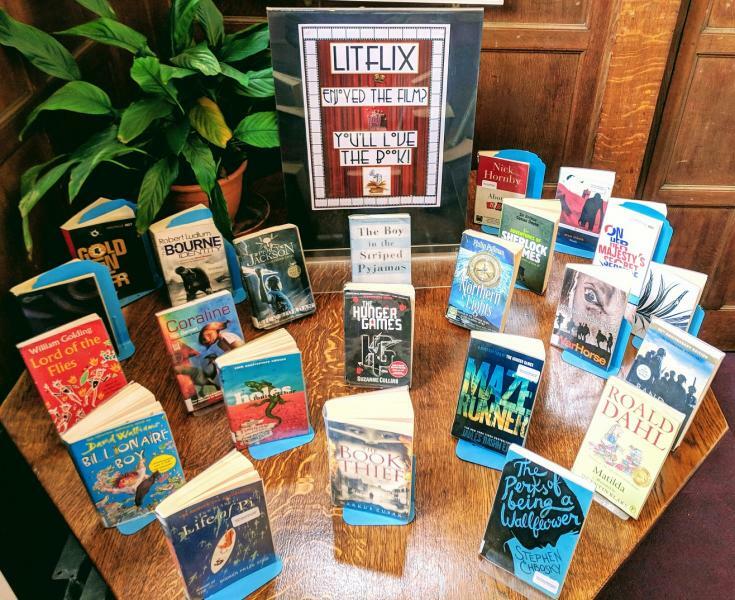 Check out our ‘Litflix Display’ – if you enjoyed the film adaptation, you’ll love the book! Journey across Europe with us as we celebrated European Day of Languages and we learnt about some of the different cultures and traditions of our European neighbours. 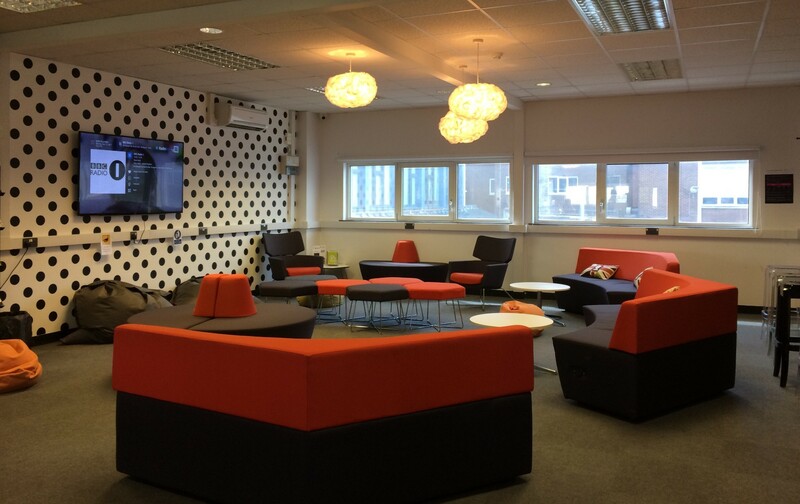 Our soft seating areas in both libraries made for a perfect Danish Hygge corner as students could curl up with a good book and be present in the moment alongside twinkly fairy lights and cosy cushions and throws. There’s always something going on so keep your eyes peeled! One of our main aims is to make pupils’ research abilities more effective, smarten up their search queries and help them to be more digital savvy! We are lucky enough to have an array of electronic resources to dive into and use their smart searchers – Mr Boole would be proud! Not to mention our hot-desk articles delivered to our teachers! The moment they land on our desk, we are on the case to supply teachers with anything relevant for their teaching – from Lincoln and slavery to medieval medicine! 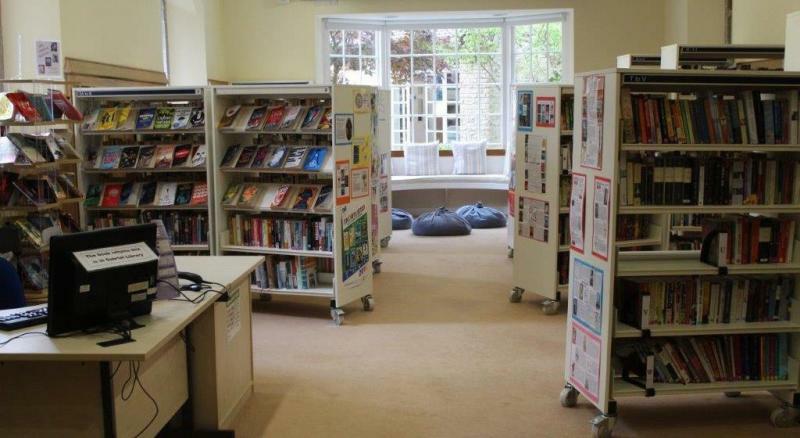 Whatever your age, whatever your interests – whether you need help choosing your next book, your homework, support with your EPQ or you just want to read the daily newspaper, there really is something for everyone at Berkhamsted School Libraries. " ""Here at Living Paintings we provide a free library service for blind and partially sighted people of all ages. 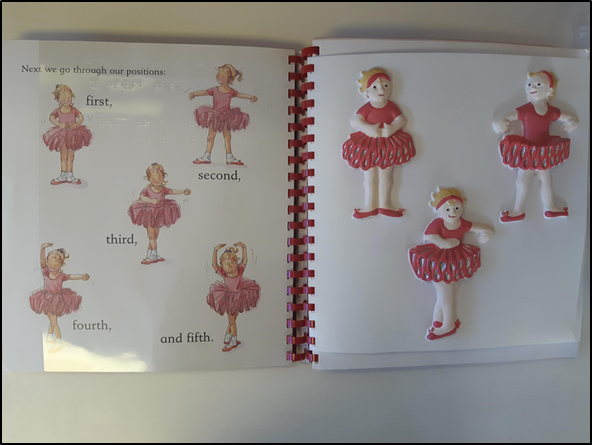 Our unique tactile, touch to see books provide a wonderful experience that brings stories to life. 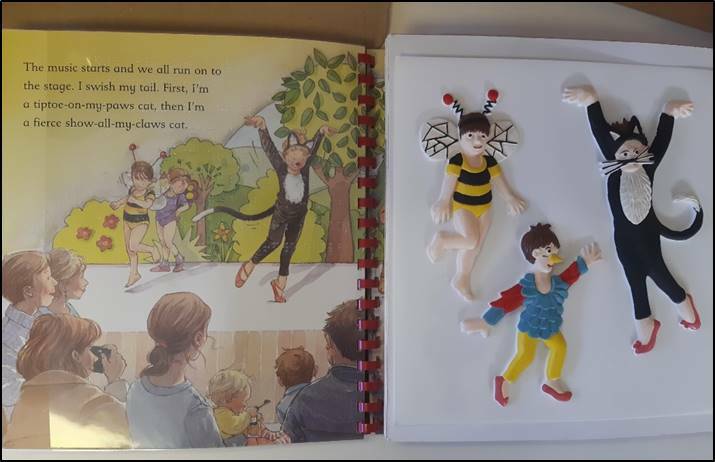 We have children’s picture books where the illustrations are raised images so that blind children can touch and feel the illustrations as they listen to the stories. Every book comes with an audio guide that not only tells the story but also describes each picture in detail. 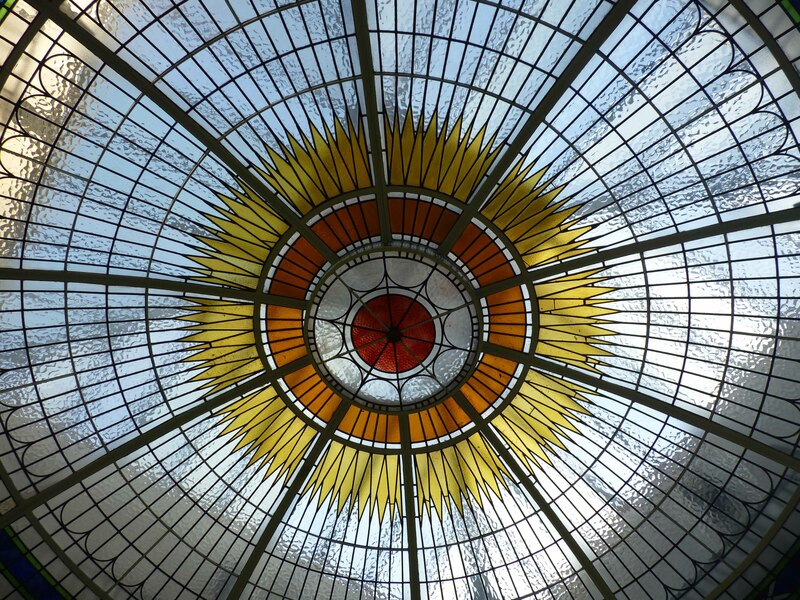 For our adult members we provide a wonderful selection of albums that cover diverse topics such as modern art, architecture, garden design, nature, music and tours of popular British cities. 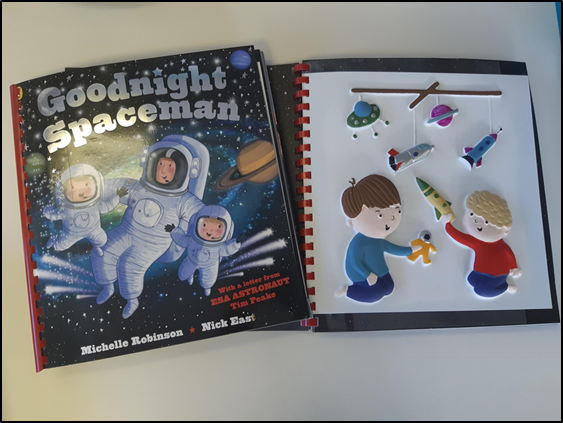 Our teacher resource packs also support national curriculum subjects supporting blind and partially sighted children at school to learn in the same way as their peers. 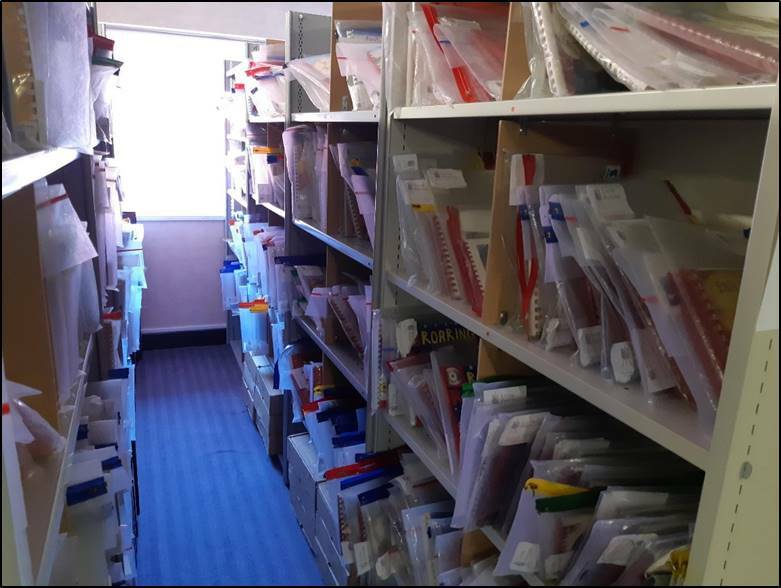 We are so proud of our library because we provide a completely free postal service for blind and partially sighted people ensuring that our resources can reach anyone across the whole of the UK. We issue no fines for overdue or lost books, and our service is provided solely because of the generous support of donors. 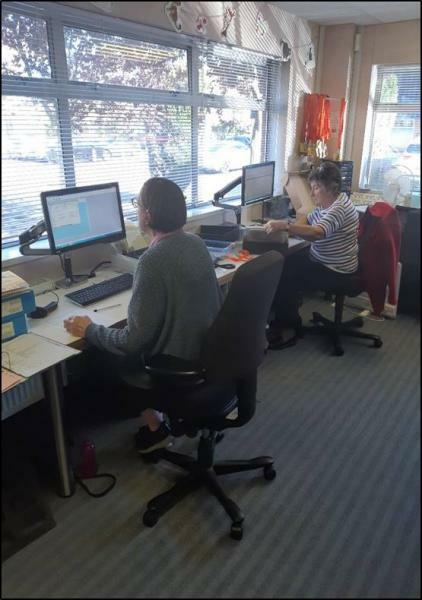 Our volunteers are the heart of our library, they keep it running on a day to day basis dealing with all incoming and outgoing loans. There are also lots of things that go on behind the scenes from the painting of new books, to the repairs carried out on existing books, to registering new library members. We now have over 15,000 library beneficiaries who are all able to enjoy the resources we offer due to the generosity of our volunteers and funders. 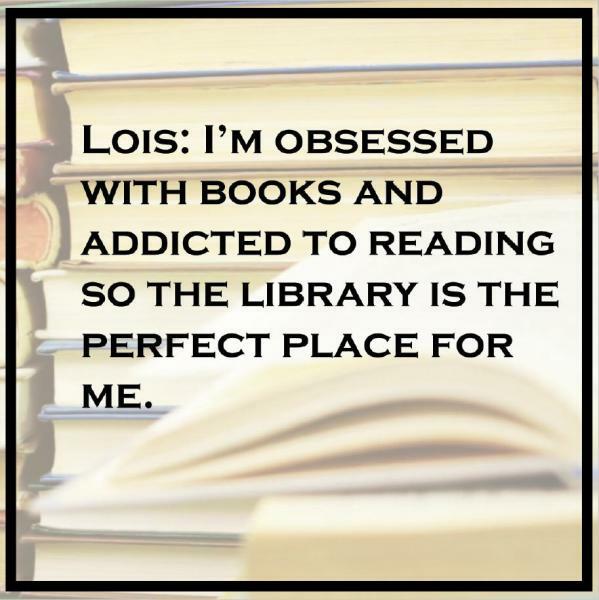 The feedback we receive from our library members is what makes it all worthwhile. 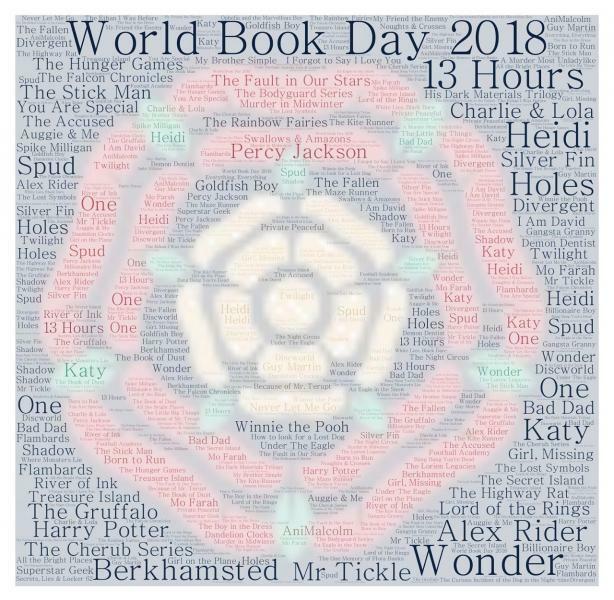 To be able to change the lives of blind and partially sighted children and adults by bringing books to life is something we are immensely proud of; and so this is why we think our library is a very special place indeed. The photos show two of our volunteers processing the incoming and outgoing loans, our library shelves, and some examples of a couple of our books and the unique touch to see raised images." 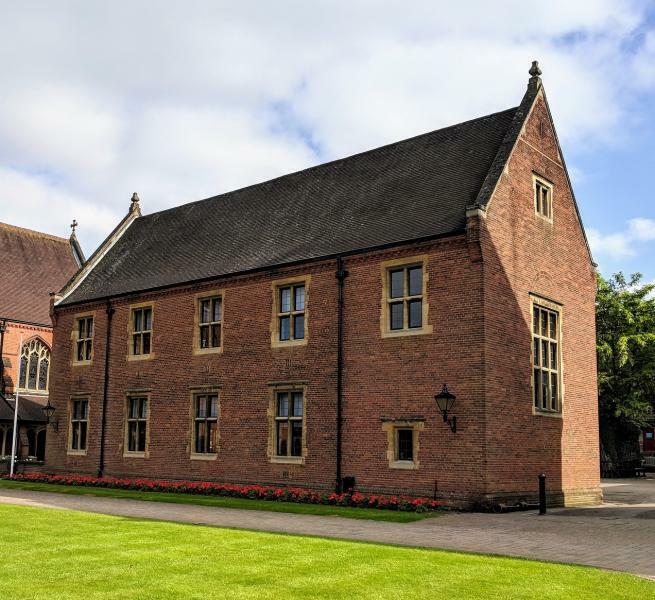 HMP Ford's library, managed by Linda Collins, made the 10-strong shortlist for The Bookseller Library of the Year 2018. Read why at https://www.thebookseller.com/insight/library-year-shortlist-spotlight-827631. "Here is a photo of our fiction library. 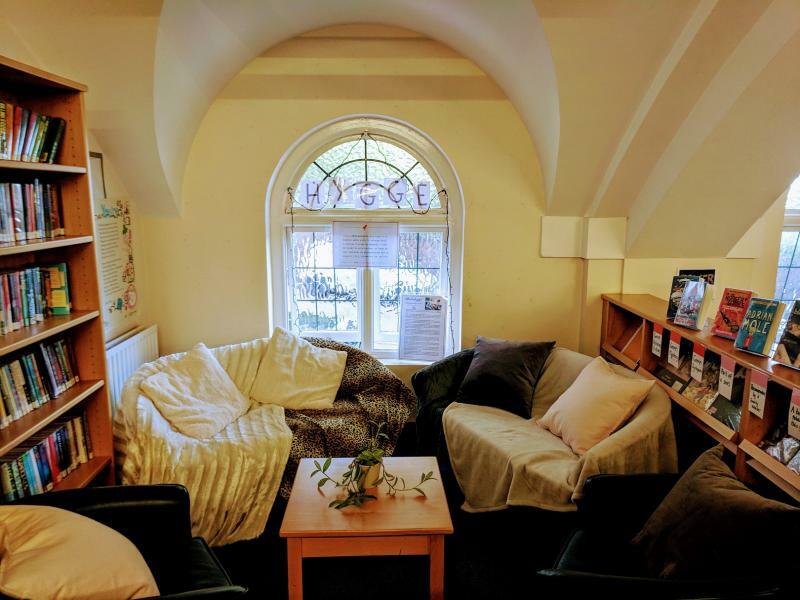 It used to be a chapel, and is now a great place to curl up on a beanbag with a good book, as we often find girls doing just that, visible only by their feet sticking out between the shelves!" Just a quietness you rarely find anywhere today. Or the whispering voices of excited students. And keep an open mind and an open book. Leisure or at least come and have a look. "The room which now houses the main library at Cliff College, Derbyshire, used to be the college dining room. I attach two photos of the over-mantel. Where my book trolley is now, there would have been a roaring fire, years ago! I am grateful to my colleagues in the archives, Mr. Clive Taylor and Mr. Russ Houghton for providing the historical info to accompany the photos." "I am proud of my library because everyday I get to champion information. The library as an institution works to ensure people can access, understand, and evaluate information. 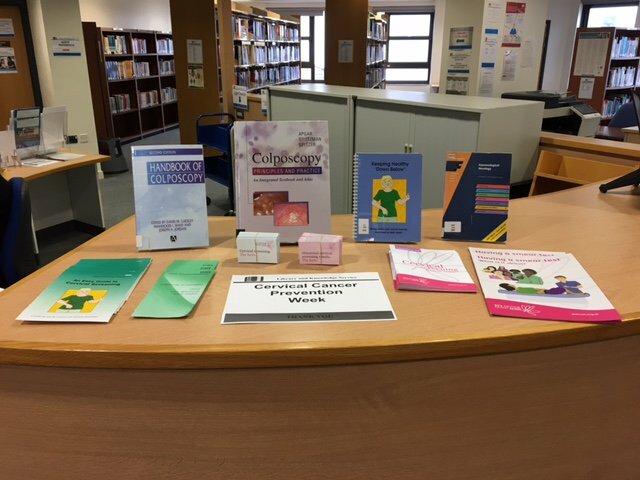 I am immensely proud to be part of a global institution that celebrates knowledge and provides free access to information.."
"We’re proud of our library because we are a very unusual acute trust hospital library – we serve six local CCG teams and the Nottinghamshire County Public Health team as well as providing services to all categories of staff within our own trust. 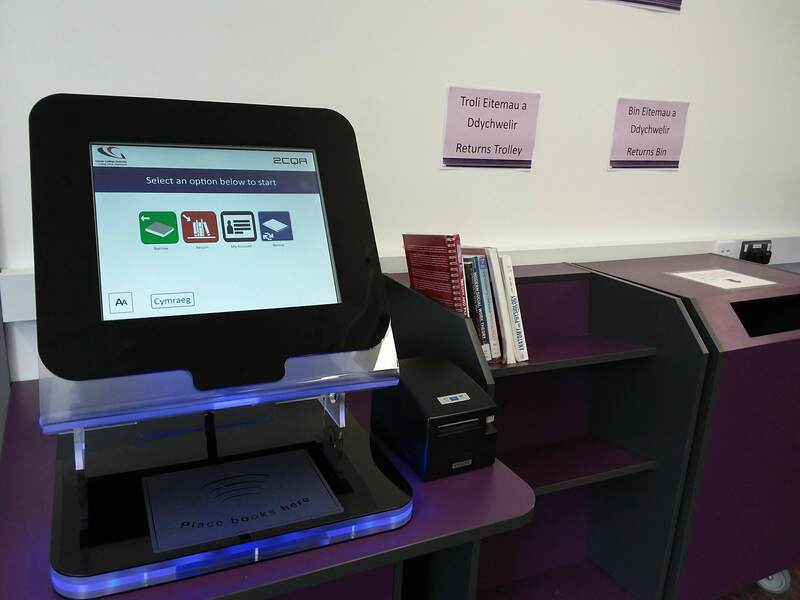 As well as all of the traditional library services such as loanable books and resources, and access to a wide variety of electronic resources and journals, we also pride ourselves on the services that we provide to parents, carers and patients. 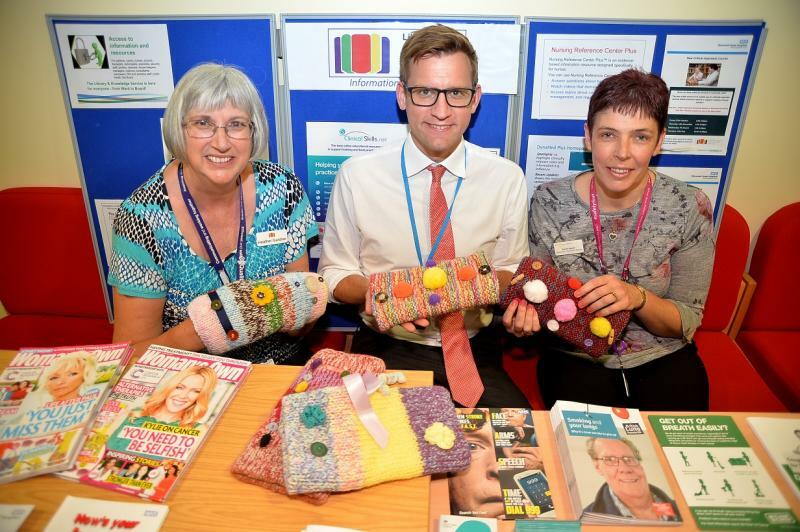 These services include a dementia collection of resources and books for reminiscence work and activities with dementia patients, as well as books to support their carers’ and relatives. Similarly, we hold a Child Health Collection which supports several different clinics within the hospital on Down Syndrome, Autism, Asperger’s Syndrome and ADHD. Again, these collections are borrowable by patients and their parents/carers. 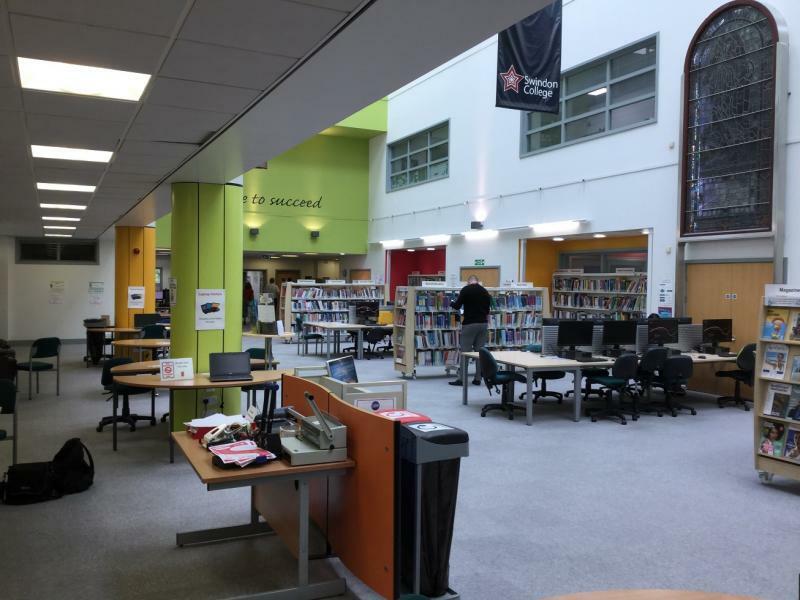 We also work with colleagues in the Nottinghamshire County Council libraries to promote collaboration and cross-sector working." 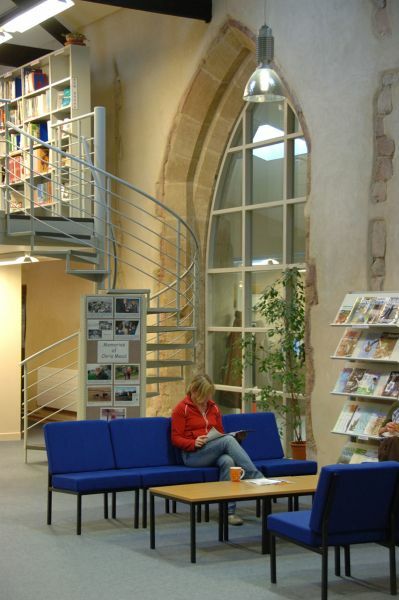 Bridgwater & Taunton College Libraries provide FE and HE resources across three campus sites in Somerset." 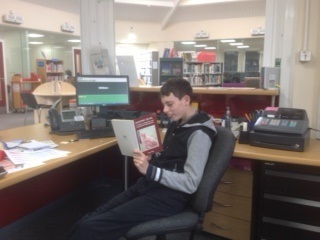 "Before I started my work experience at Cannington LRC, I thought that libraries were boring and all about books. Now I’ve realised that you don’t have to read a book if you go to the library, you can listen to some music, or just relax and chill if you want to. Mind you, if you want to study hard and focus on your work, the library is also a good place to go to! I really enjoy my work experience in the LRC, there is always something different to do. I didn’t realise there was so much involved with working in a library. I particularly enjoy serving customers and helping with displays. 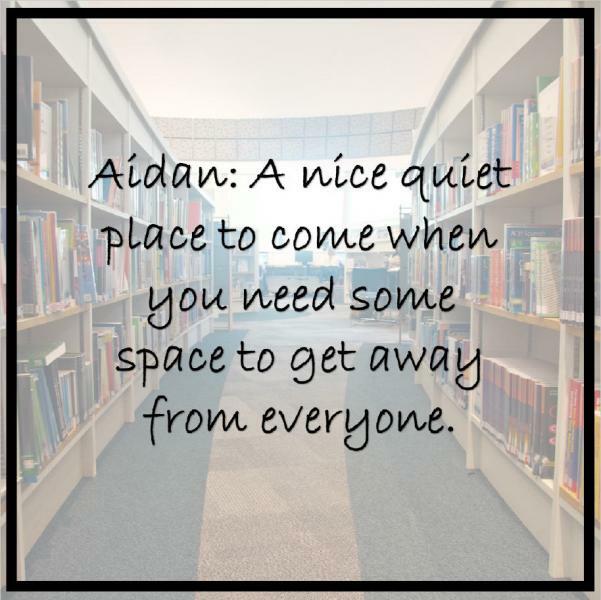 That is why the library is special to me." 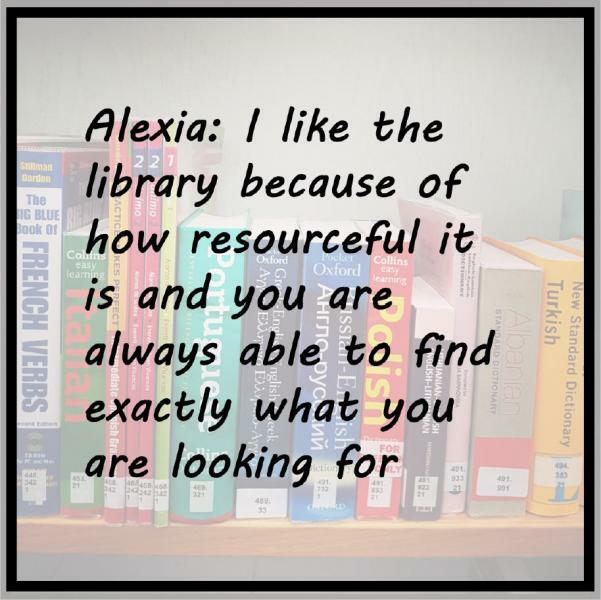 "I’m proud of my library because………..the learners LOVE US!" 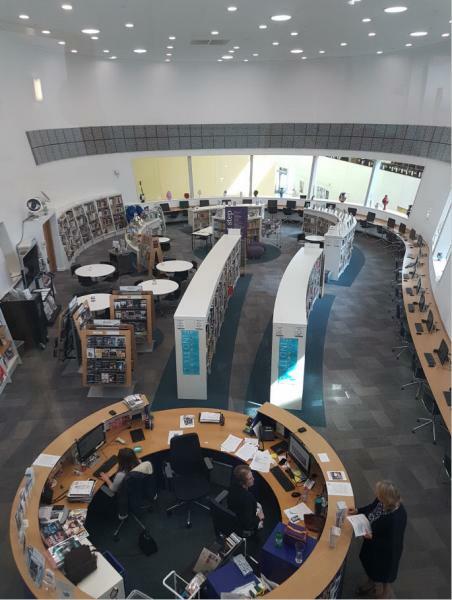 "A few pictures of our new Libraries/Success Centres to celebrate Libraries Week"
"We have a lot of positive feedback from our students, which we will be sharing on our Instagram account. I have included the photos in the attachment. We are also extremely proud because our staff satisfaction is 100% based on our most recent survey. 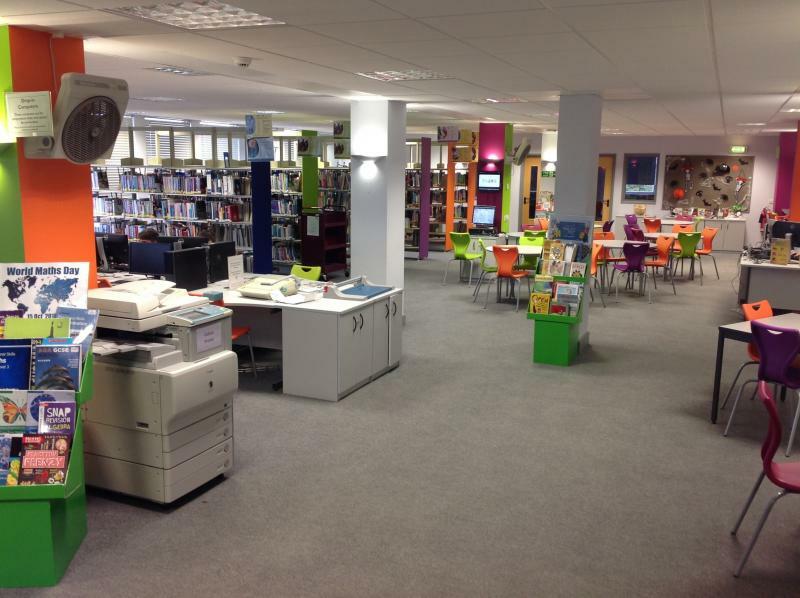 Our LRC is a beautiful room at the centre of a very modern building. 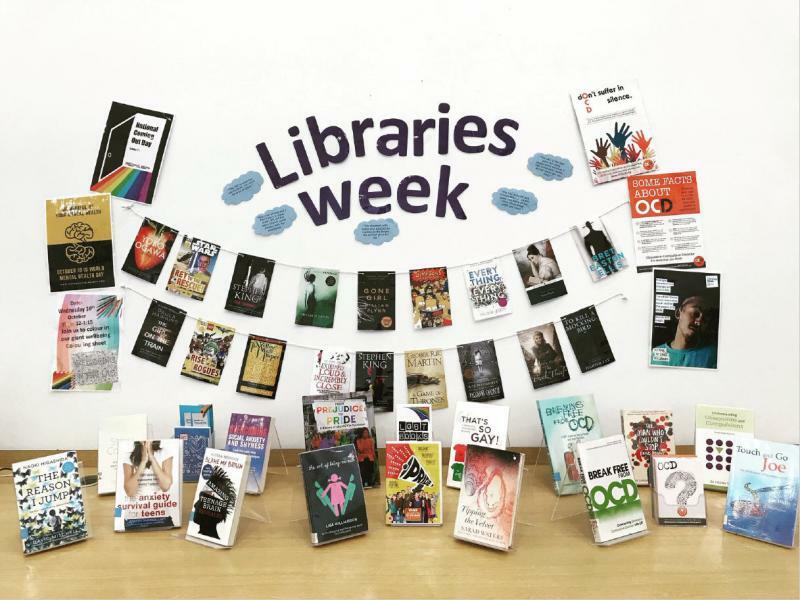 We are celebrating Libraries Week at One with a large display in the LRC. 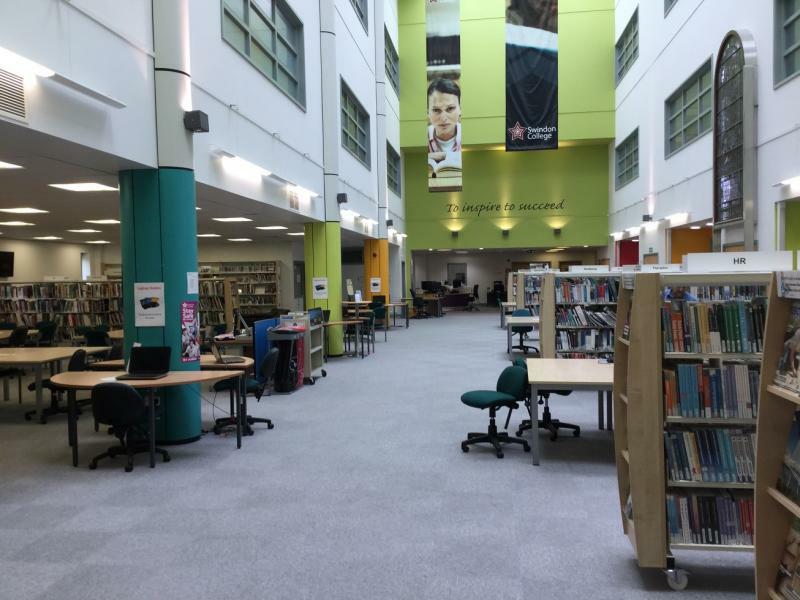 We deliver fully inclusive library services to over 2000 students and 224 staff where A levels, BTecs and Entry Level courses are provided for students of all abilities. 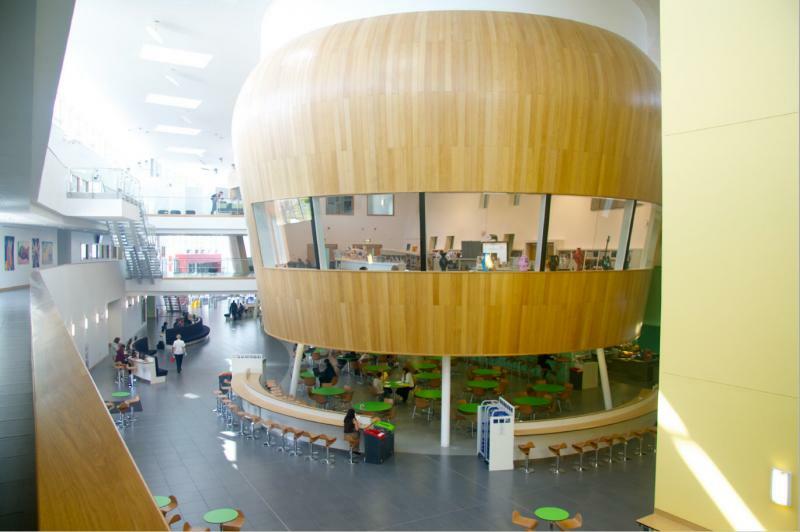 The LRC at One is in the centre of the college. We organise events such as Tales and Teapots, Reading Ahead and book groups to encourage reading for pleasure. To help students with their studies we visit classes to inform them about online resources that are available. 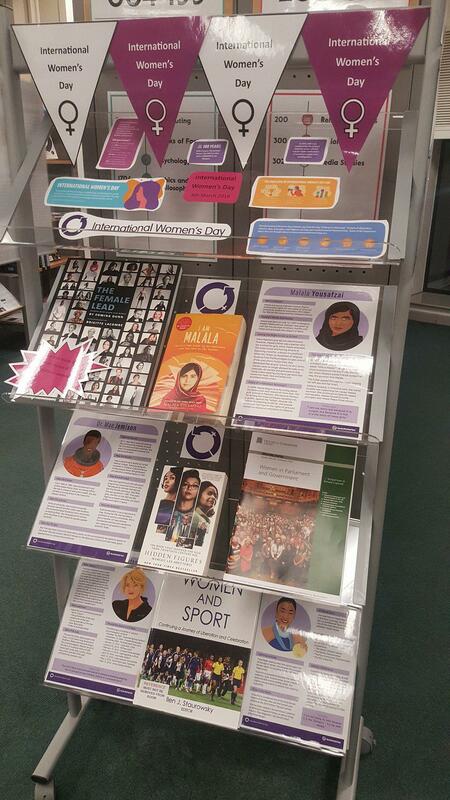 We are currently focusing on Black History Month, Library Week and Mental Health Day. 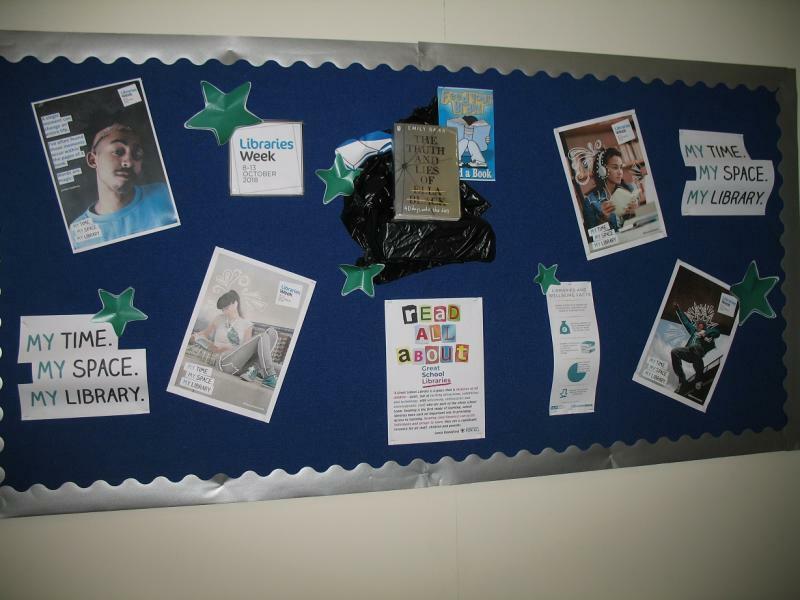 The LRC is a safe space for students with ‘Mood boosting books’ and ‘Books on Prescription’ available to borrow." "I am proud of our library because it has a dedicated and knowledgeable staff team. We are happy to support our members who often show their appreciation for our resources and the service we offer. We are a specialist centre on two sites in the North East of England and if any other Heritage Bods are passing they would be very welcome to pop in and say Hello!" 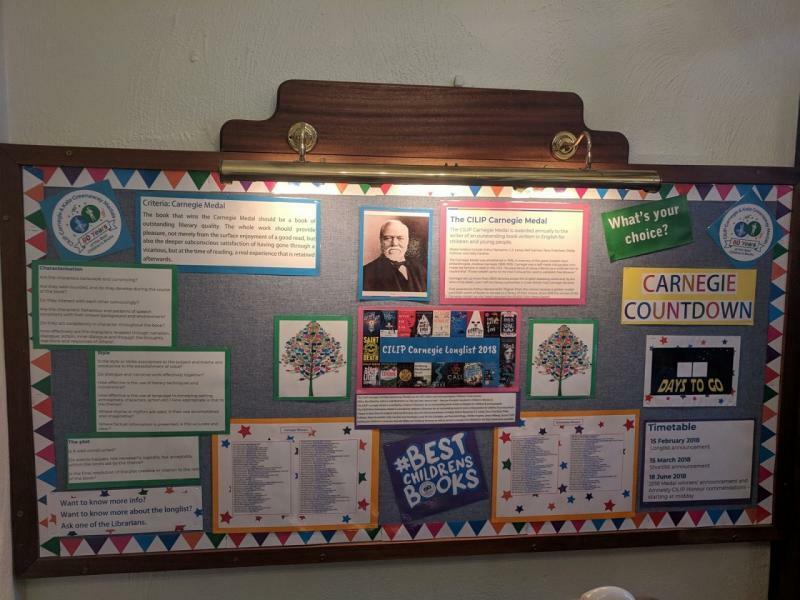 "Here are a few pictures to celebrate our beautiful Devonshire Library; a display for Libraries Week, a snapshot into the library. 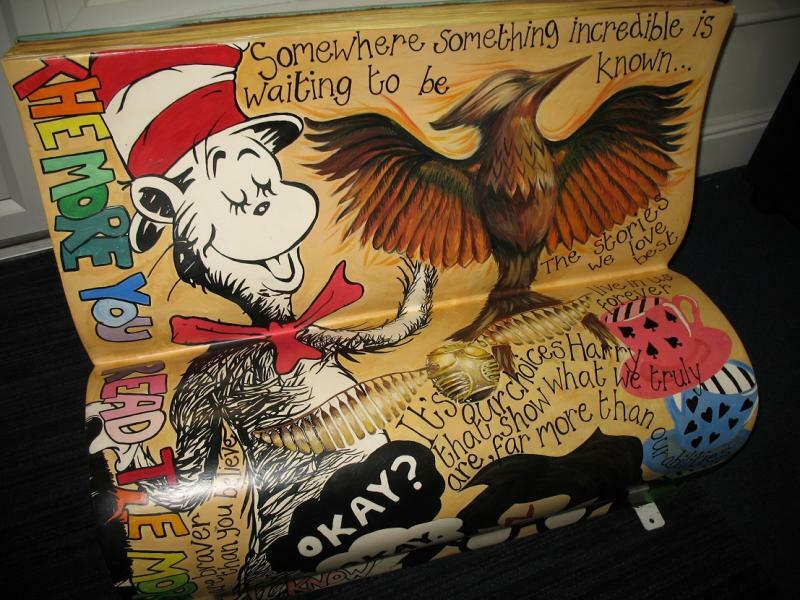 Plus the library bench which is a particular favourite feature of our library. This was painted by some of our very talented Art scholars. I think they did a brilliant job!" 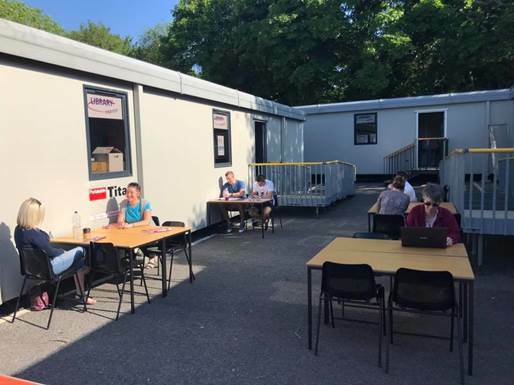 "Our Learning and Development Centre is a fantastic space for our Students and Staff to work, where we are all one big family. Note the large stained glass window on the wall. 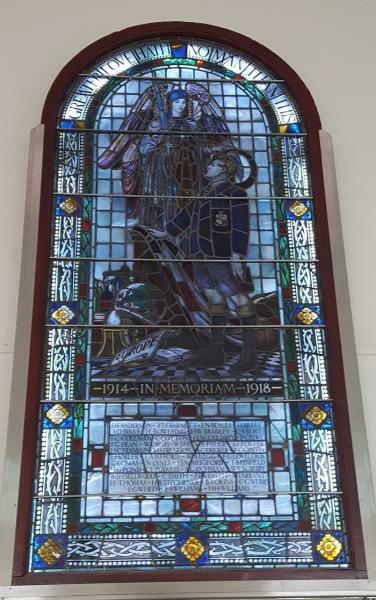 This window used to formally hang in our Old Victorian Swindon Technical College dating back to 1895 in memory of 45 Students that died in World War One, and was rescued when the building fell into disrepair and re hung in our new LDC." "We may be small, but we like to think we are beautiful! 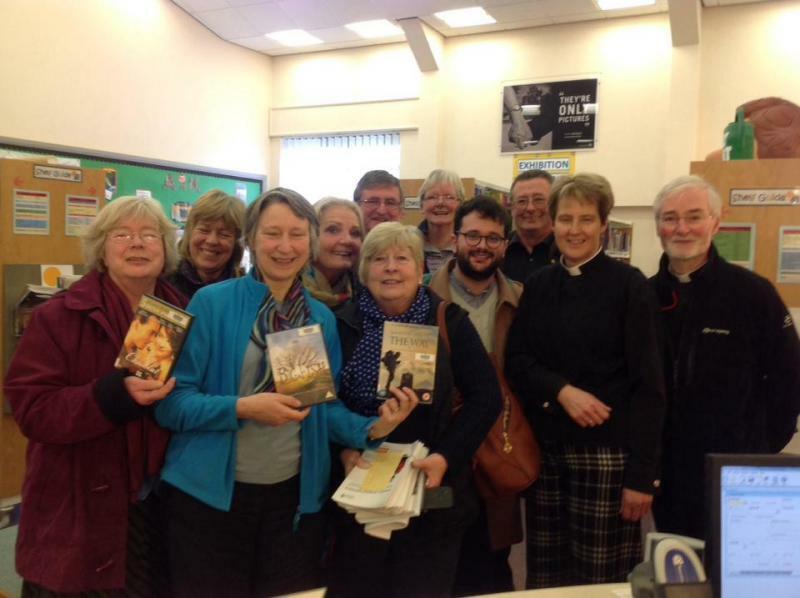 This is the Resource Centre for the Diocese of Guildford – we provide books and resources for the local churches and schools in our Diocese to help them in their work. 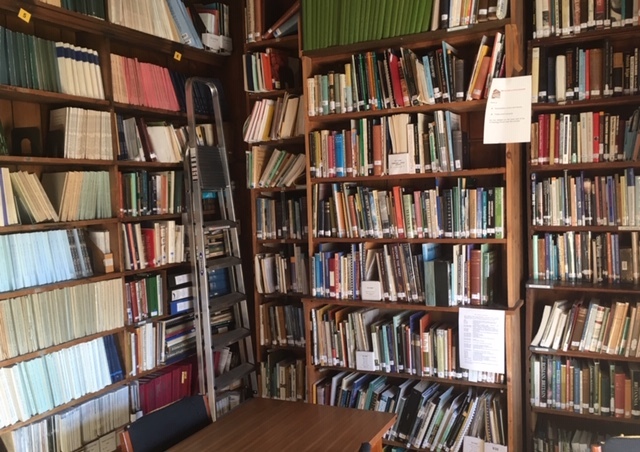 We also manage the Theological Library at Guildford Cathedral so we are kept busy but are well used by those studying at the University of Surrey nearby or local clergy/curates. (second photo)." "We get to flex our creative muscles! 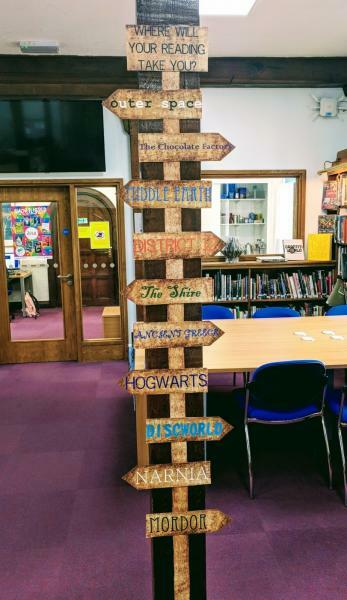 Promoting reading for pleasure is a really important aspect of our service, so we relish the opportunity to come up with innovative and imaginative displays to entice our learners. My colleague Becky Lovell has created this fantastic Halloween display – complete with fluttering bats every time the door is opened"
"We are proud of our library because these are the results from our learner survey (attached infographics) – over 80% think it is a good place to study, that we develop their skills for the future and that our support has helped them to do better on their course and over 90% agree that we are friendly & approachable and that they are happy with the Learning Centre @CornwallCollege St Austell."